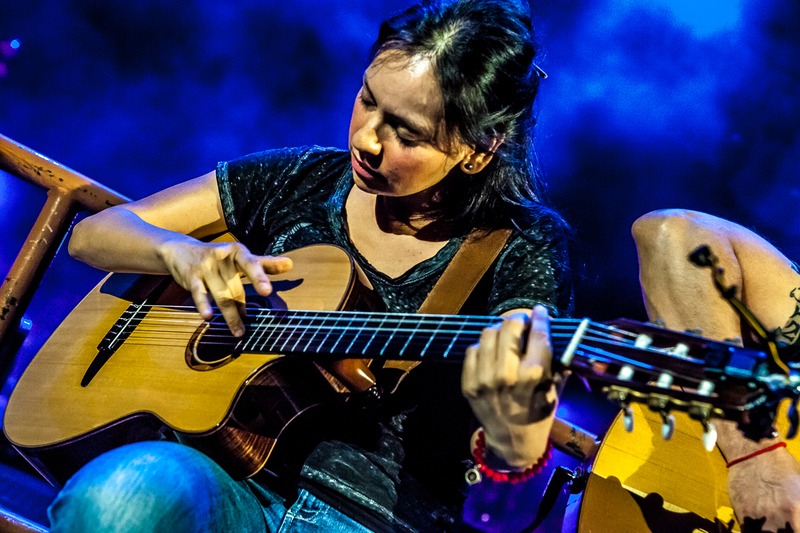 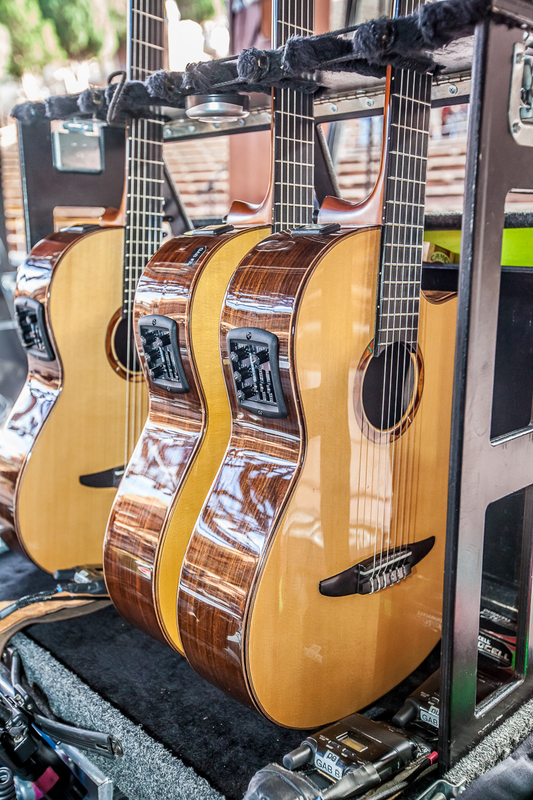 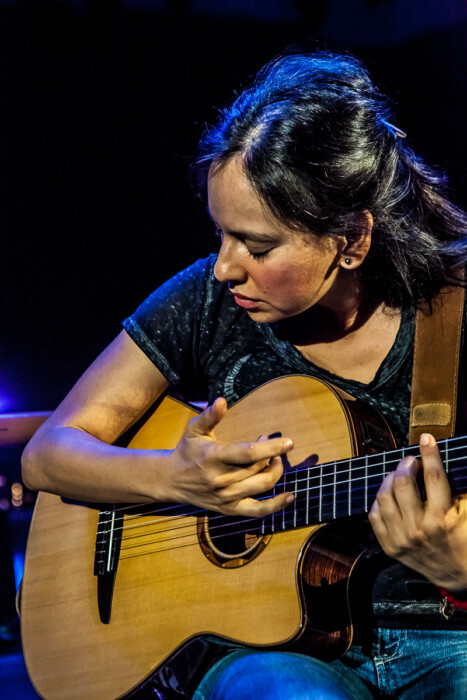 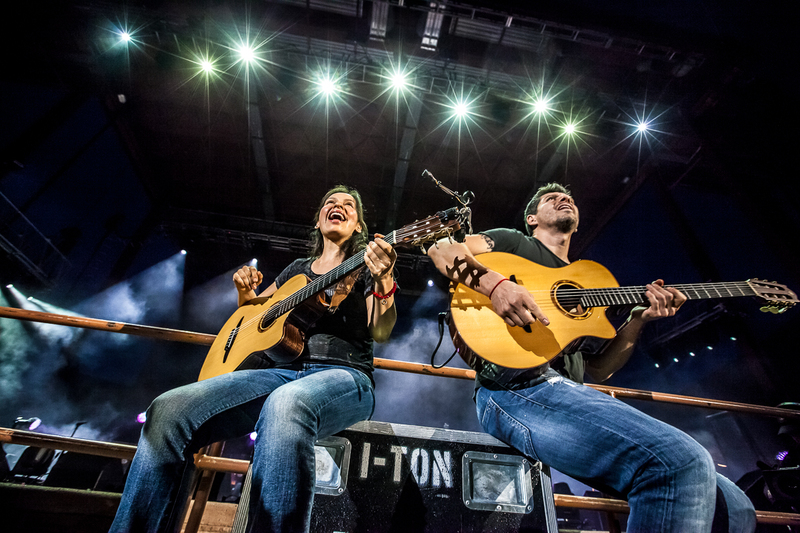 How do you take the most dynamic guitar duo in the world and super charge their performance? 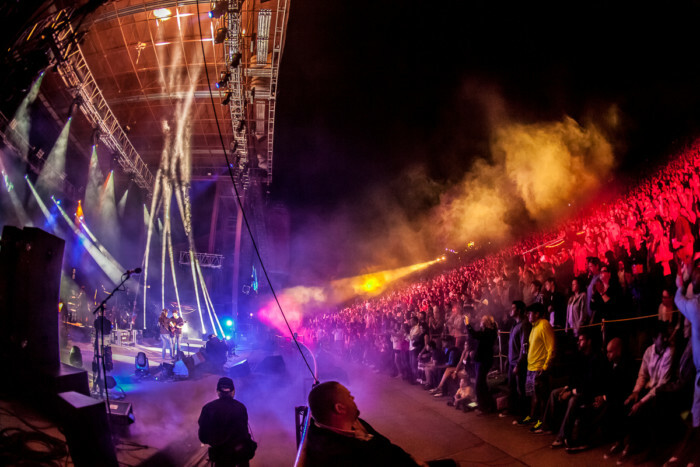 Some might add a drummer and maybe a bass player, maybe even an over the top laser show with pyrotechnics and fireworks? 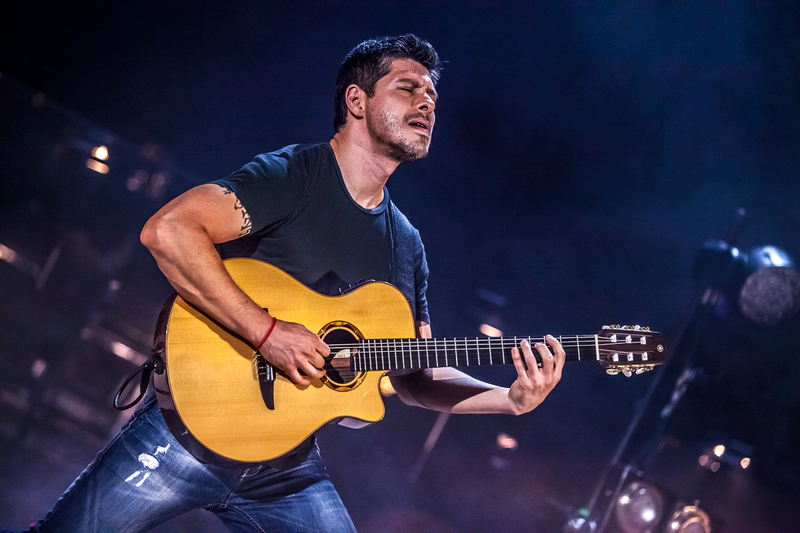 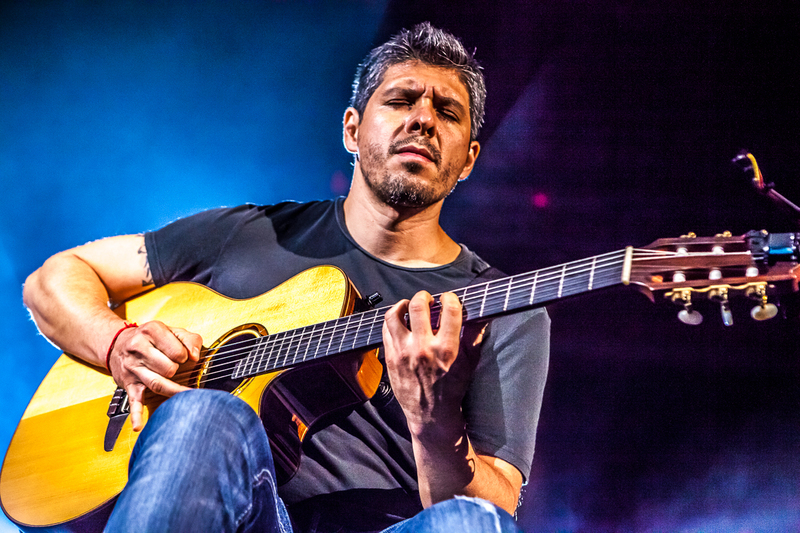 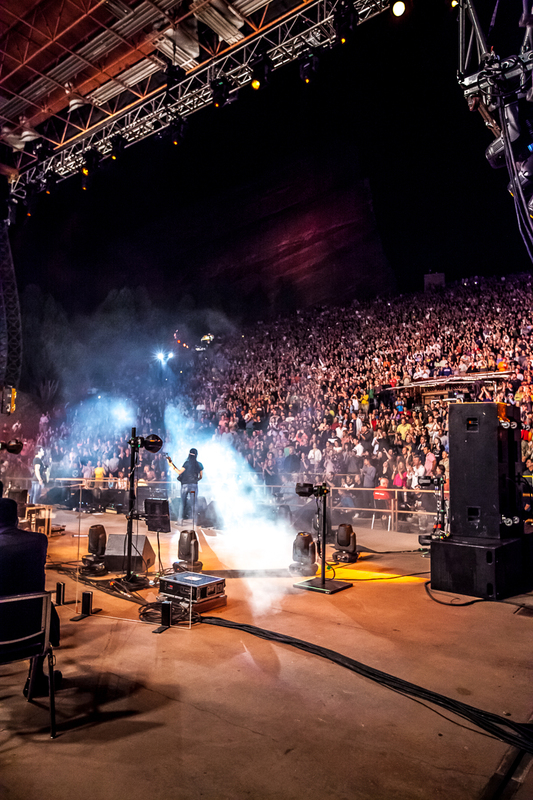 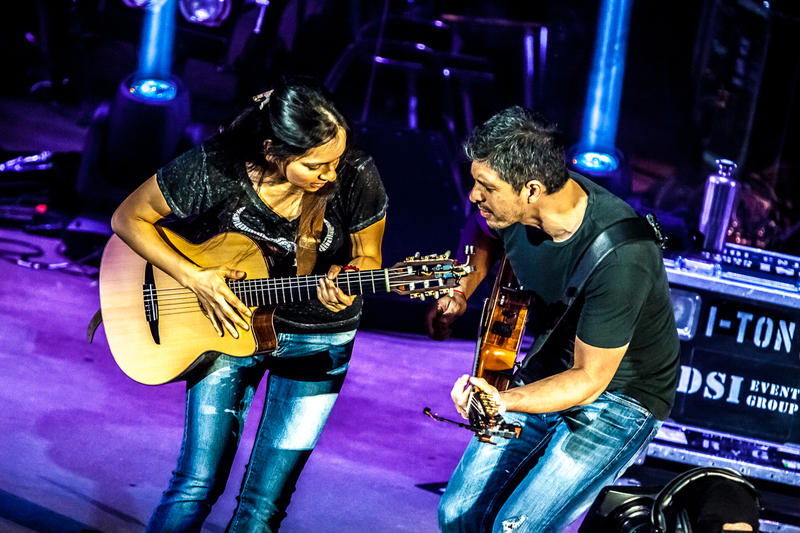 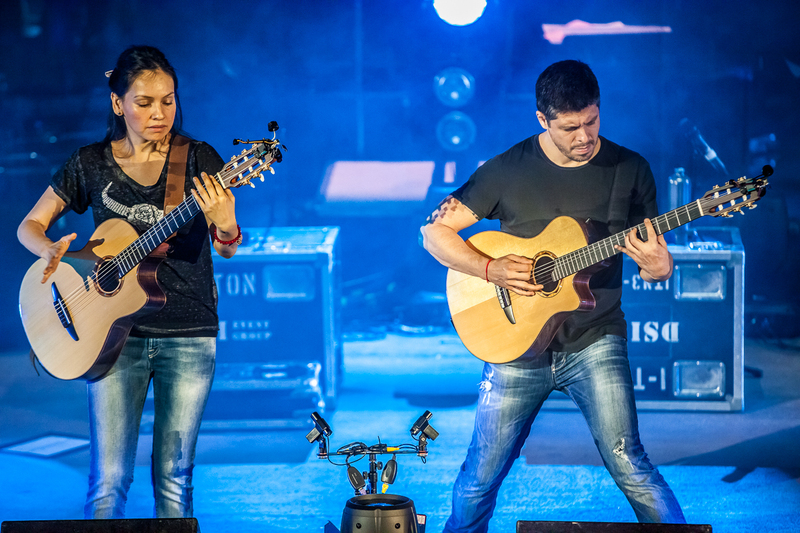 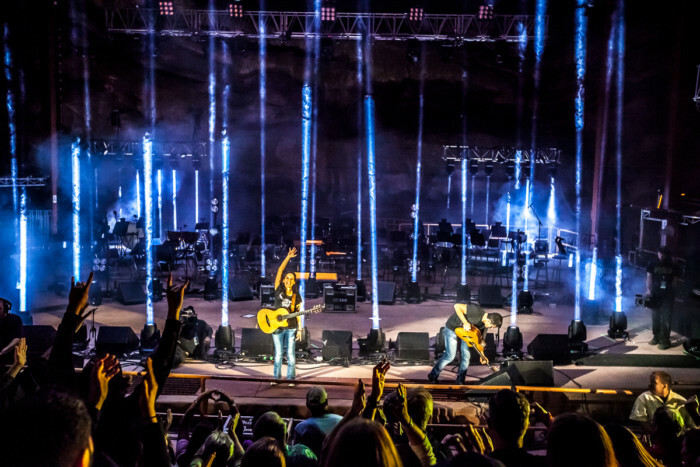 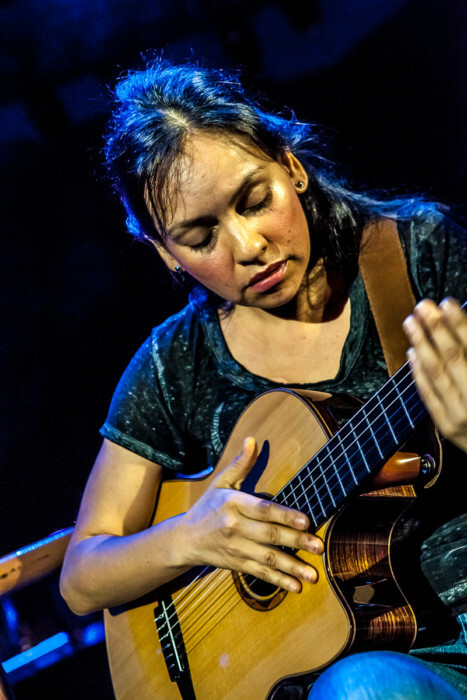 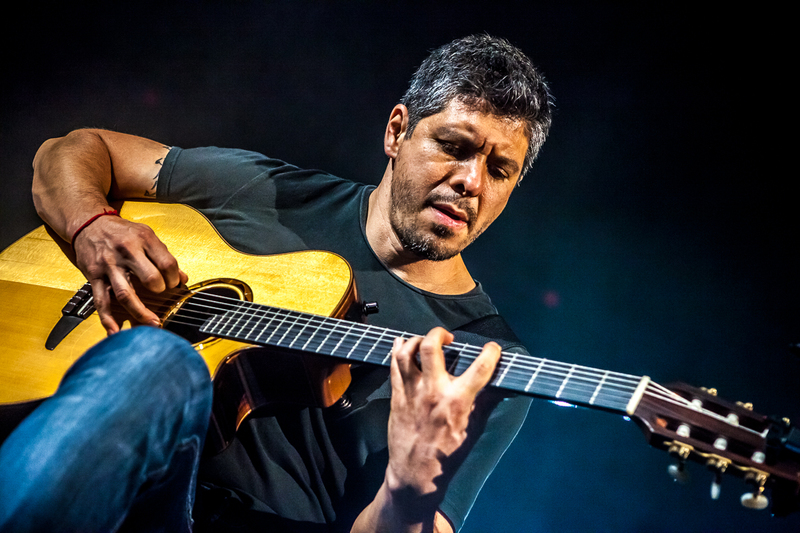 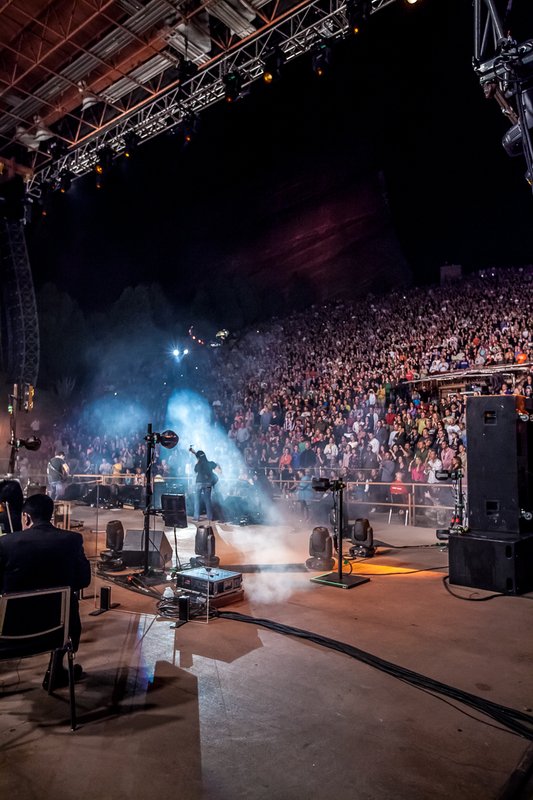 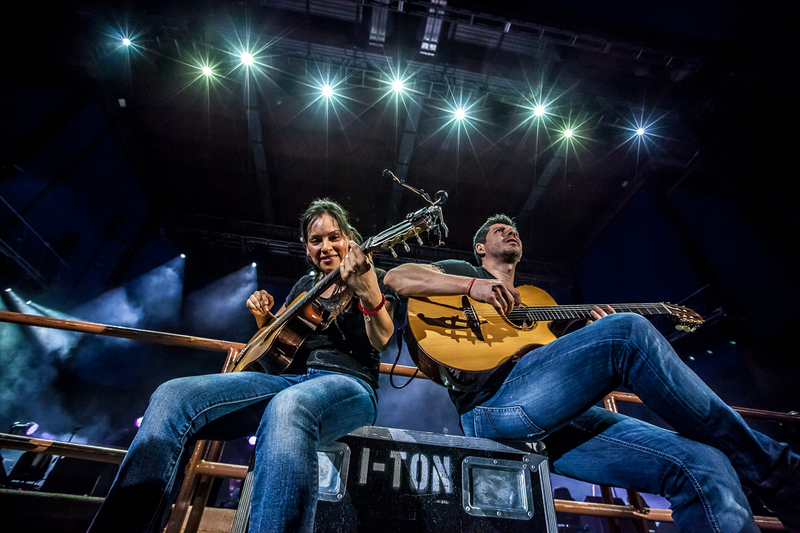 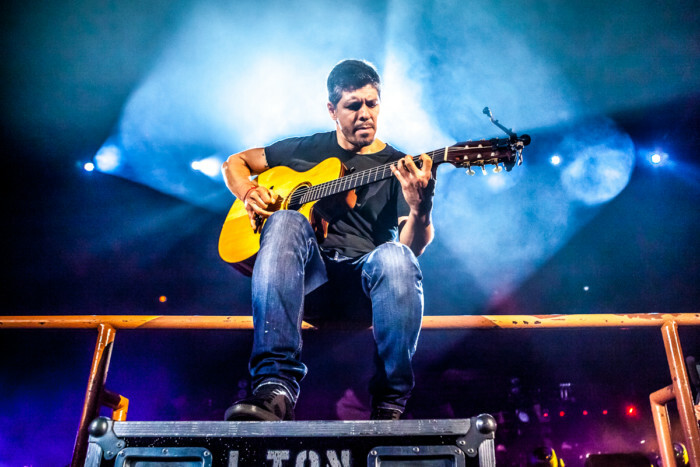 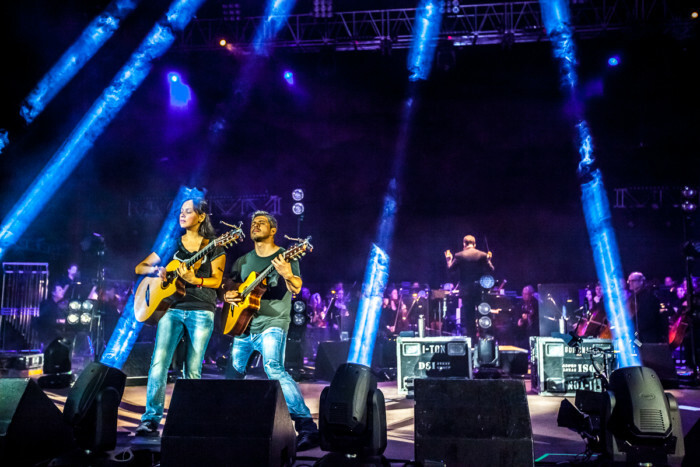 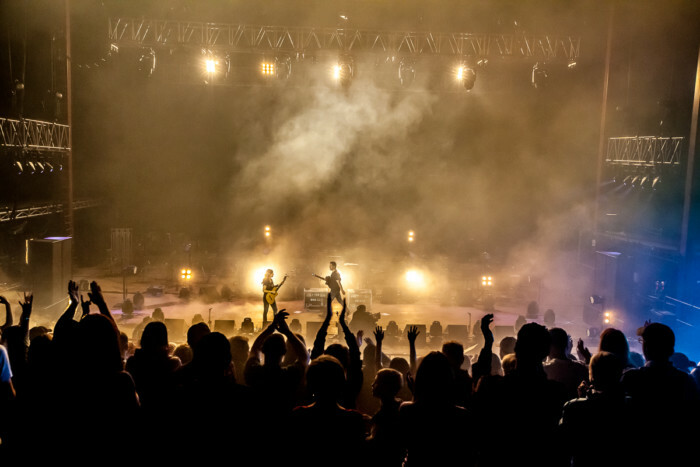 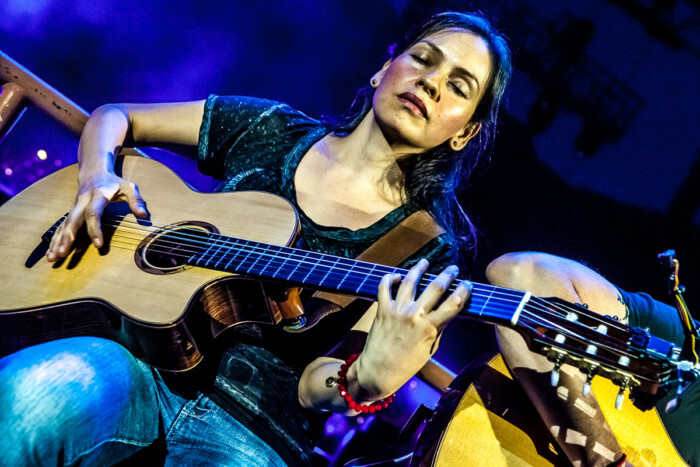 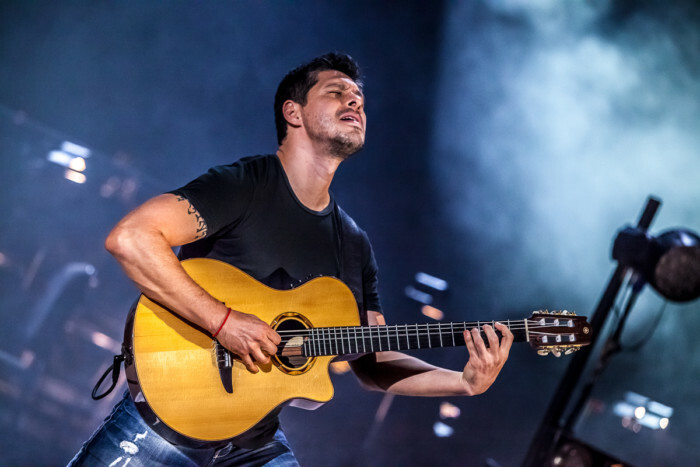 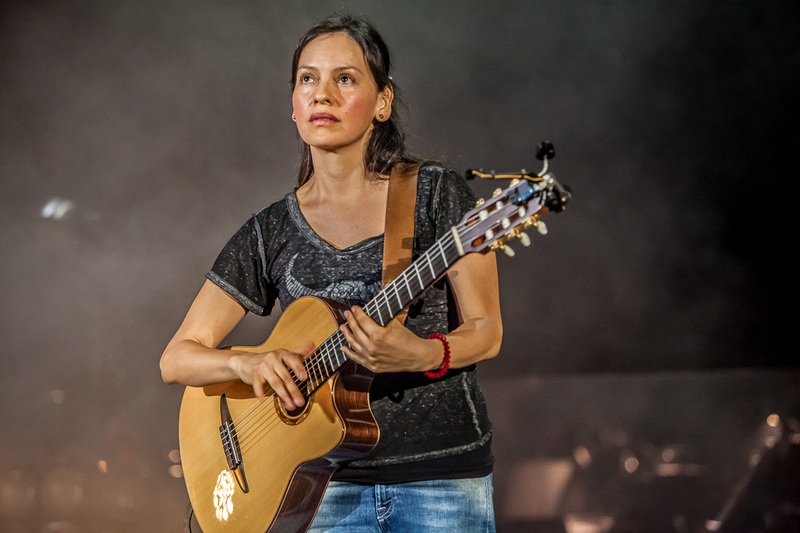 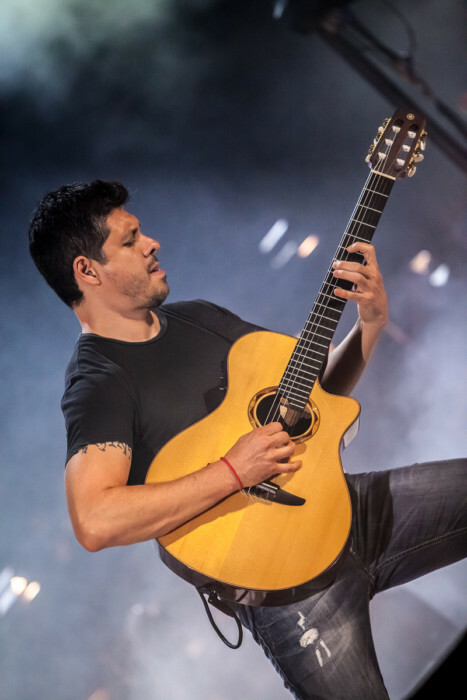 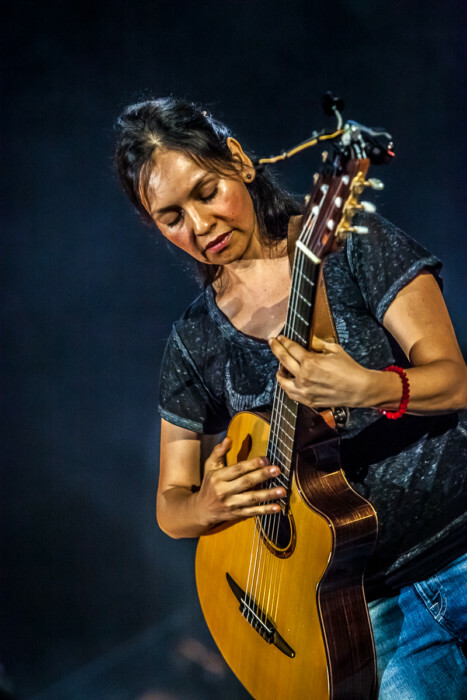 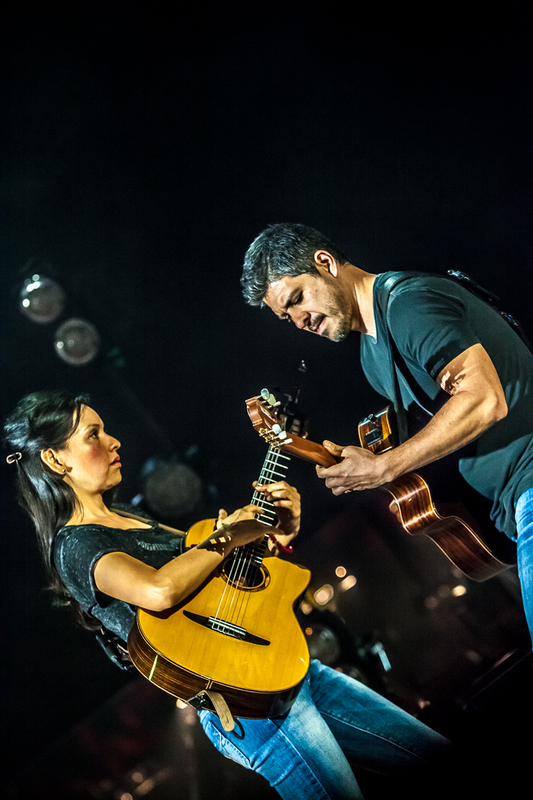 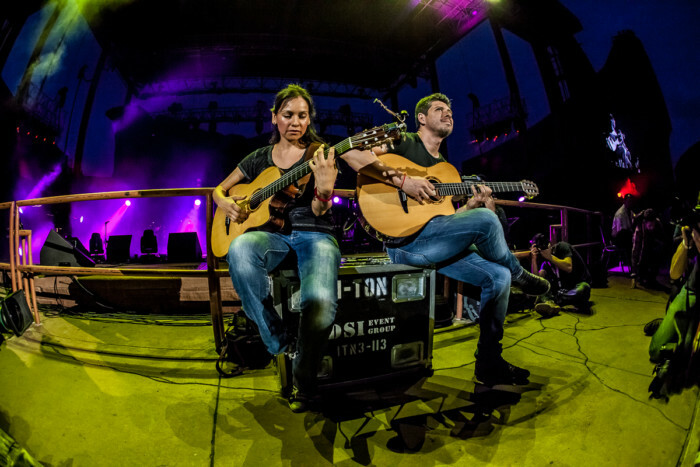 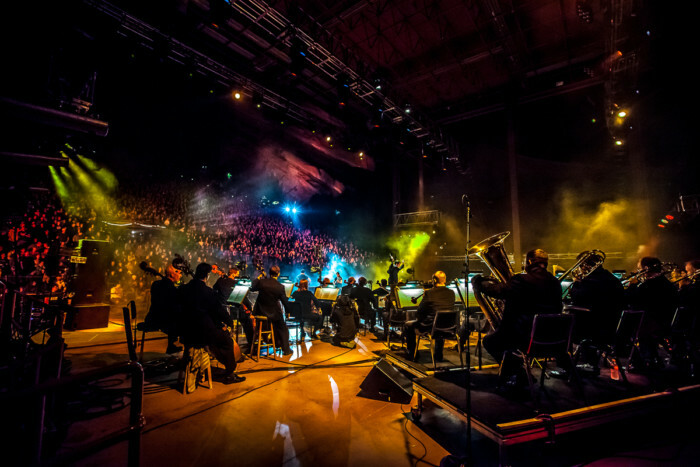 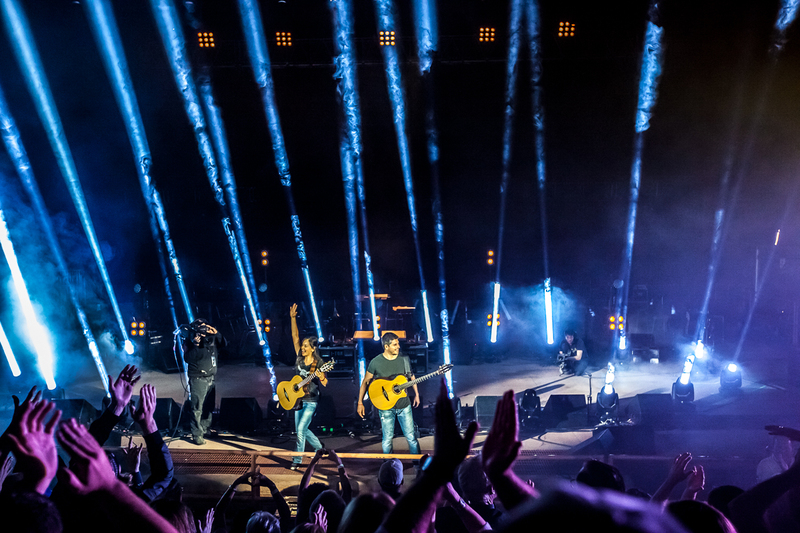 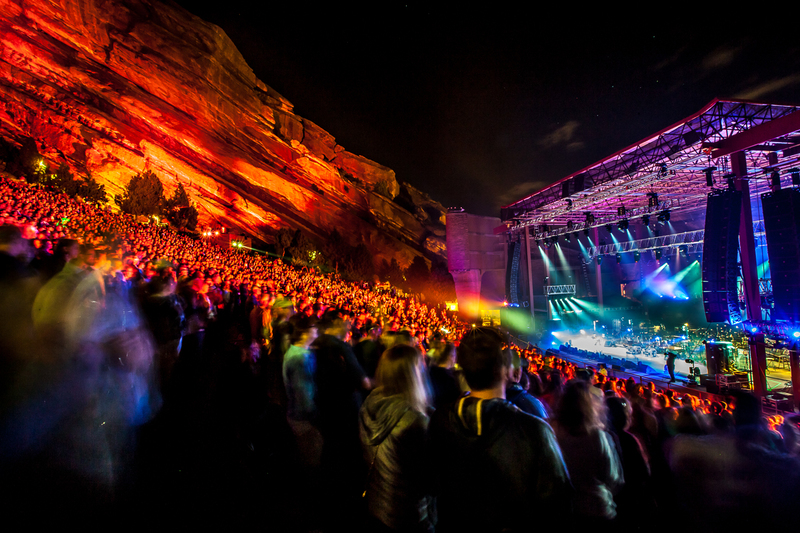 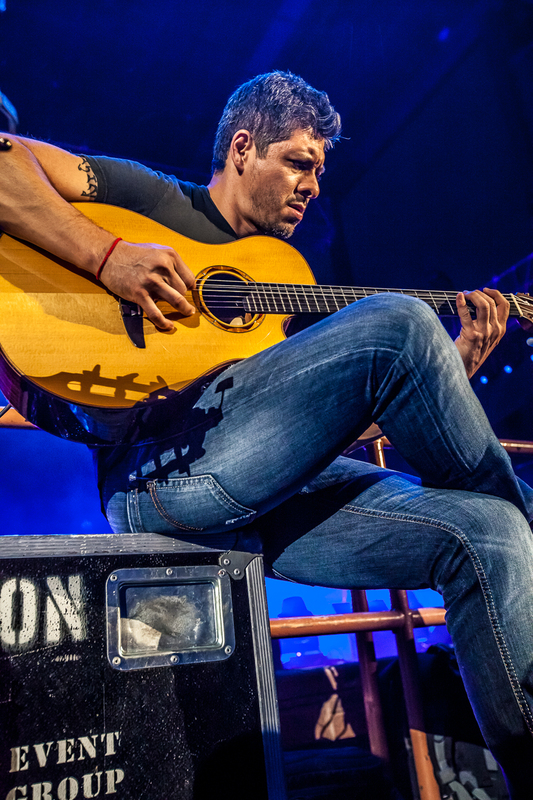 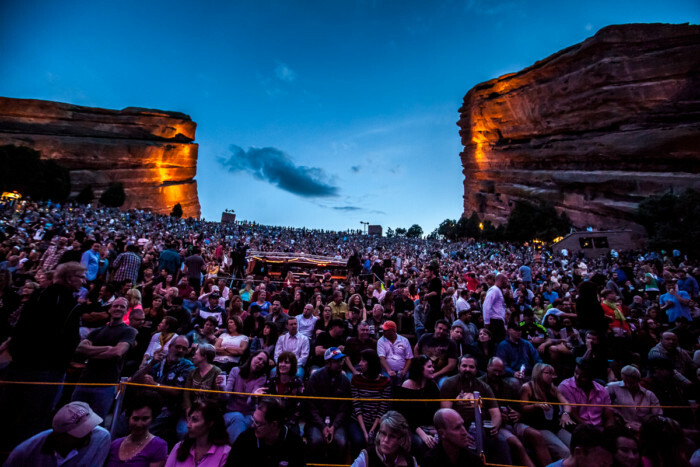 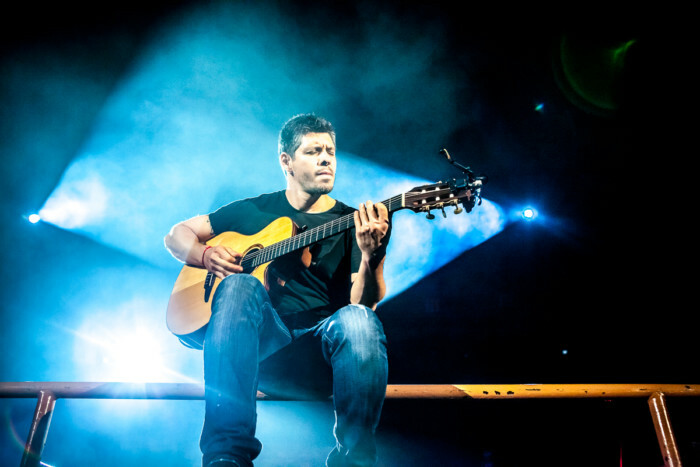 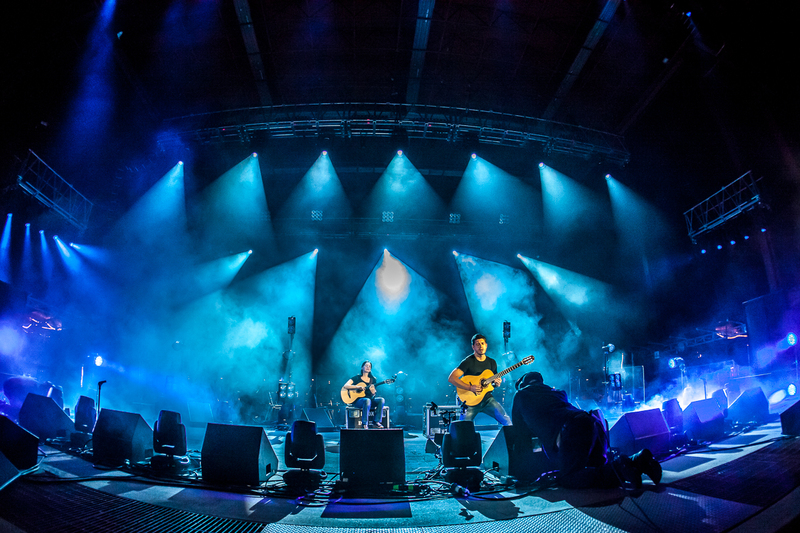 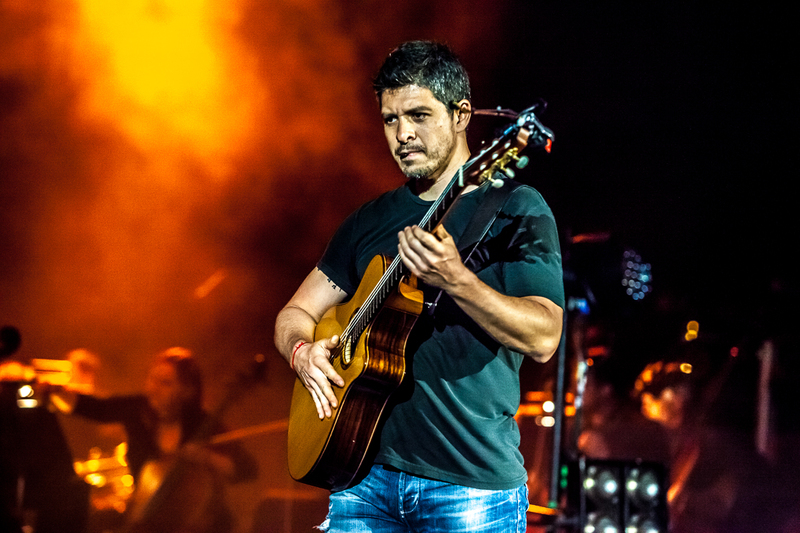 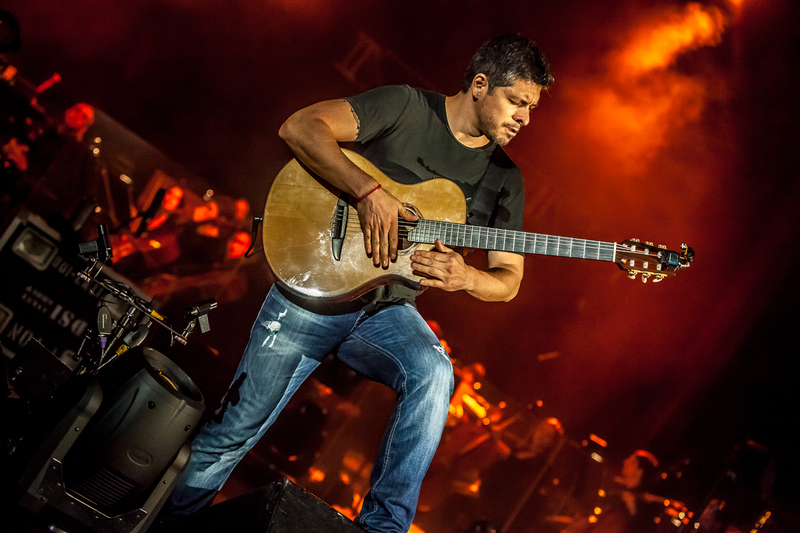 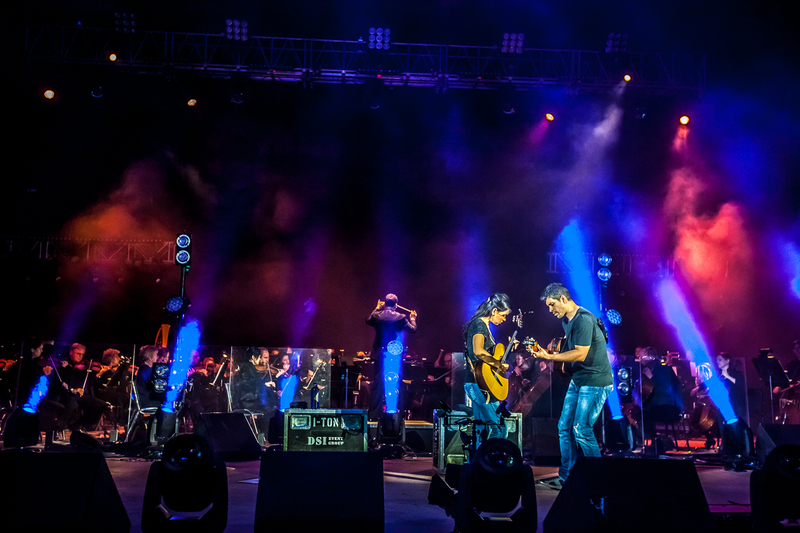 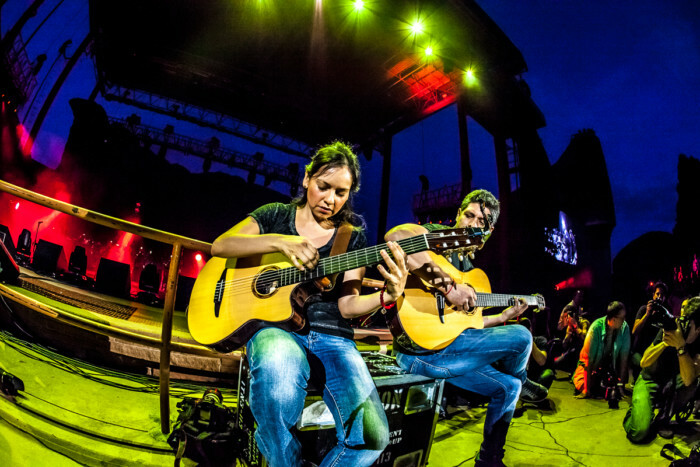 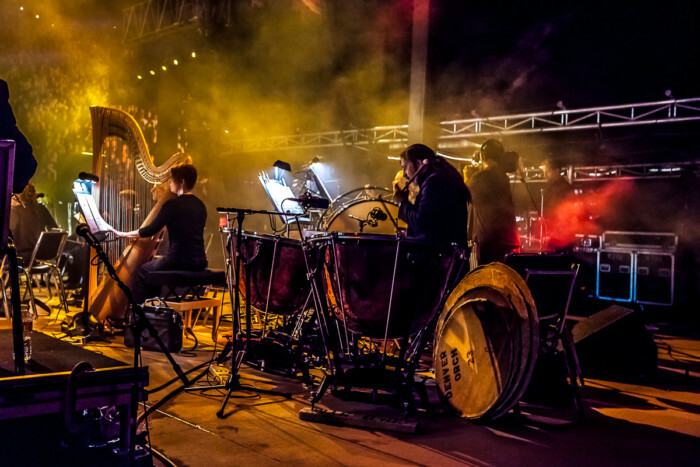 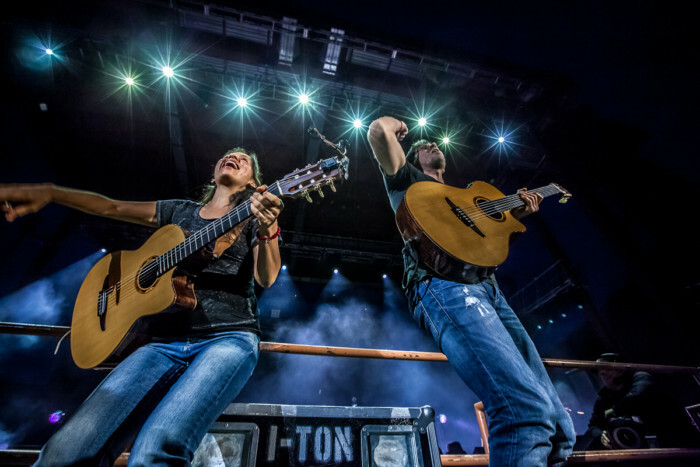 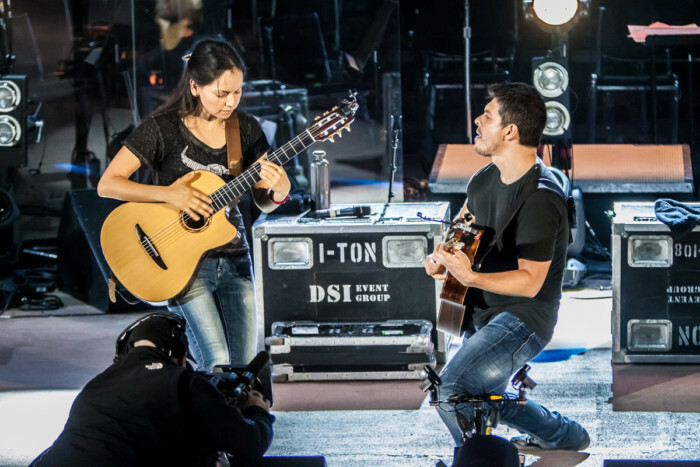 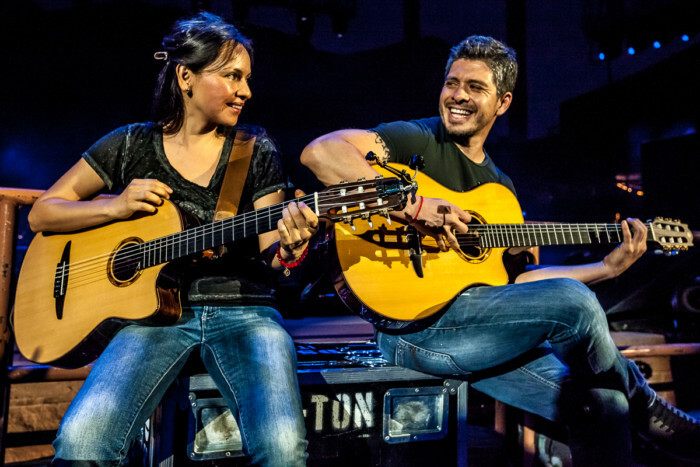 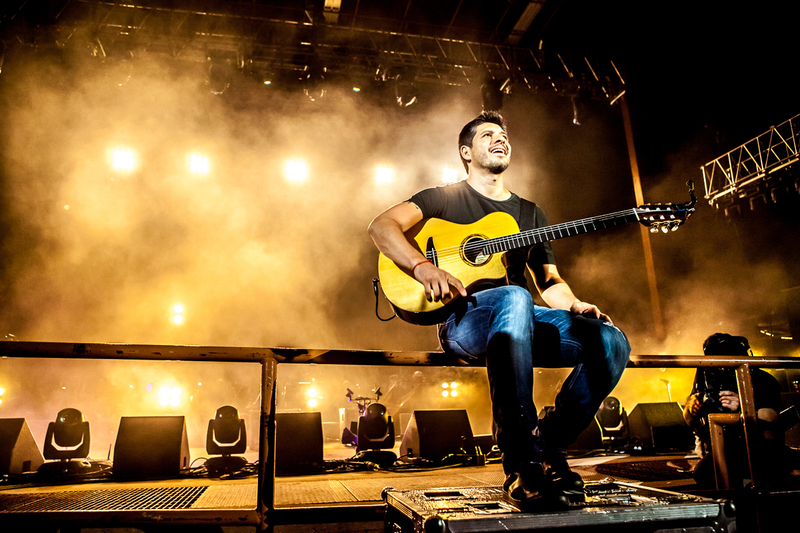 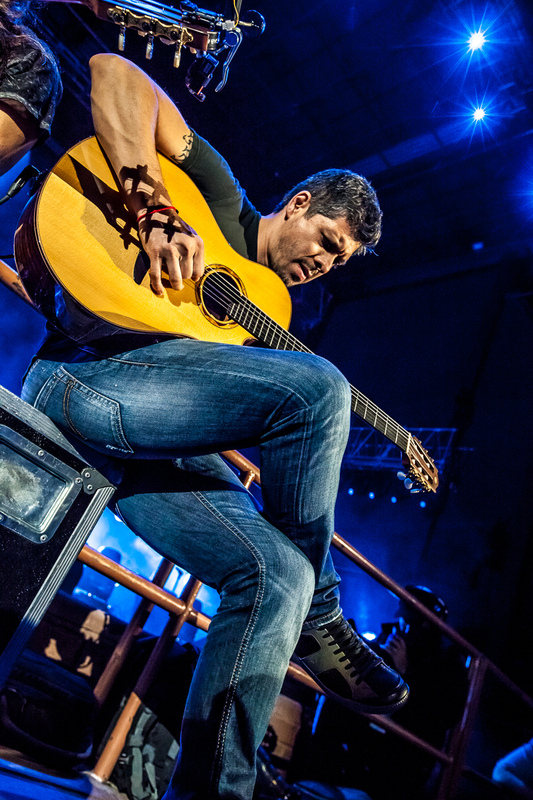 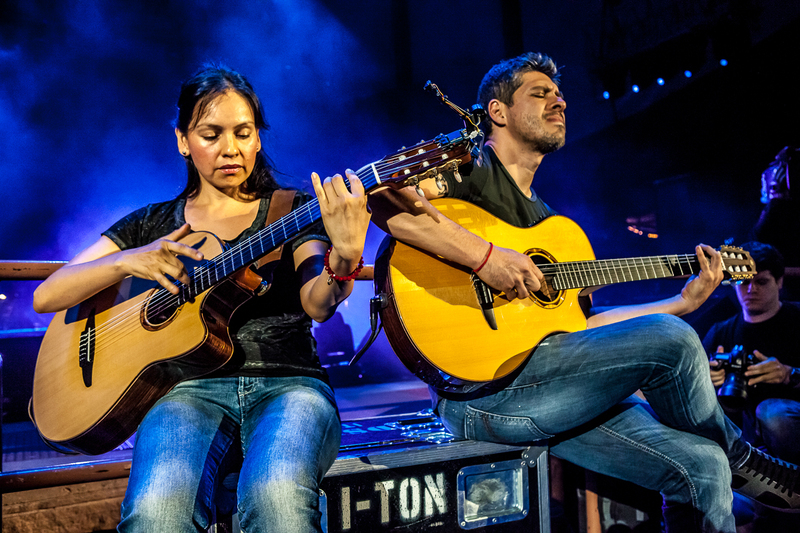 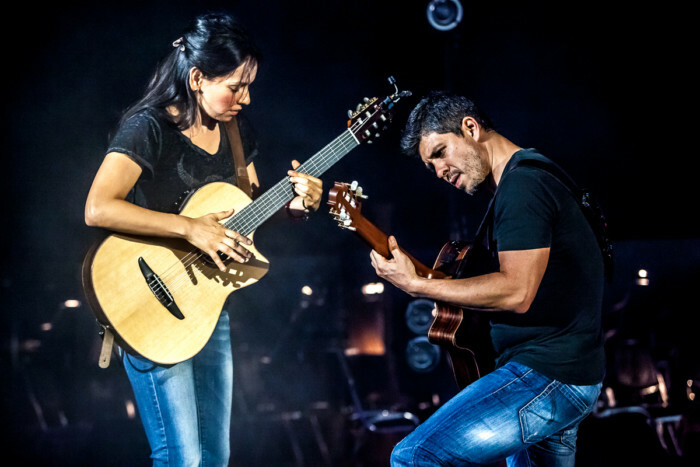 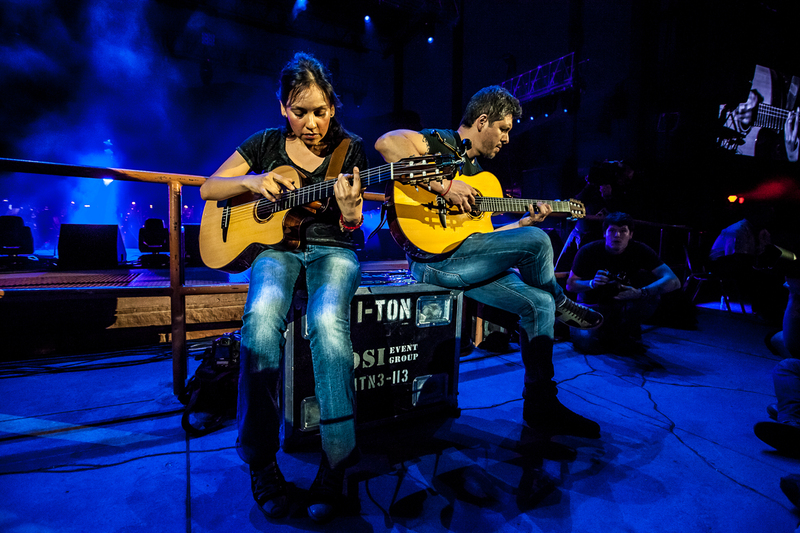 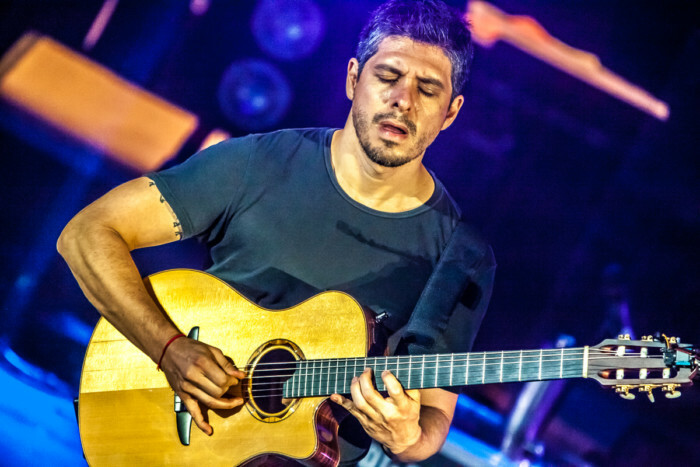 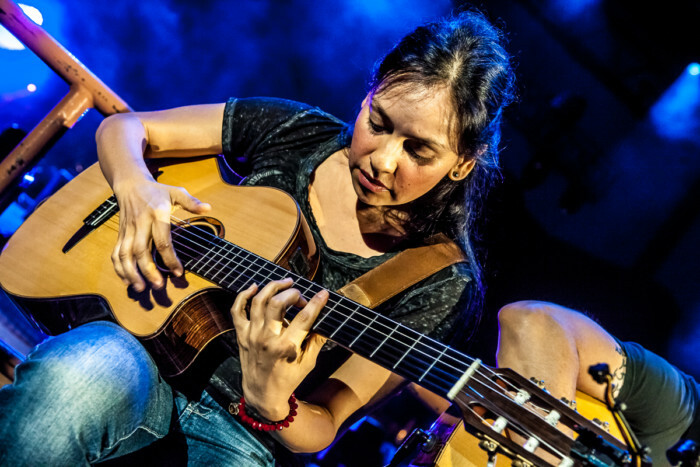 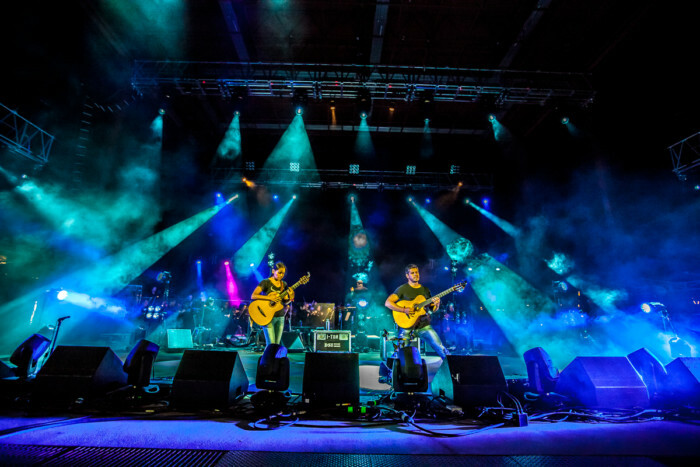 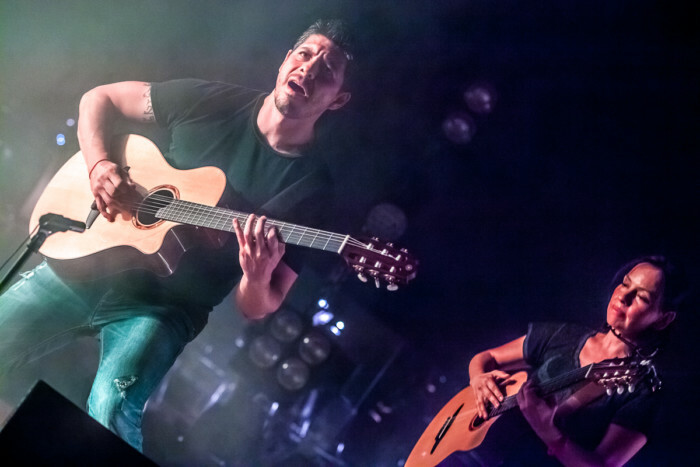 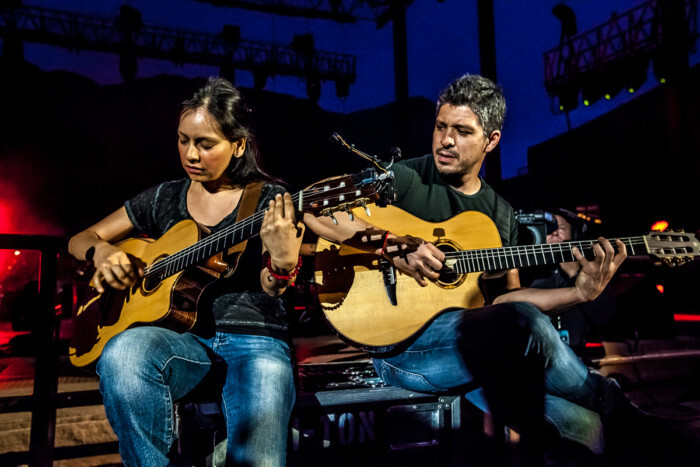 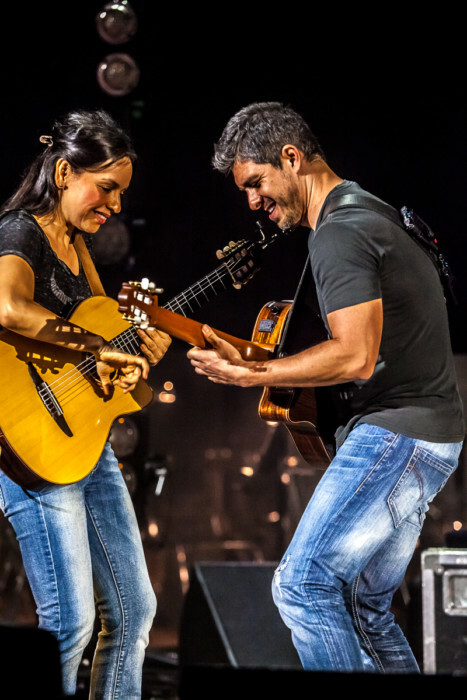 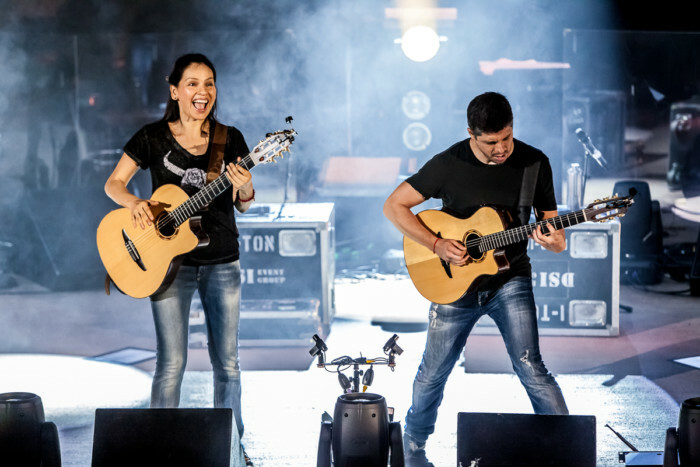 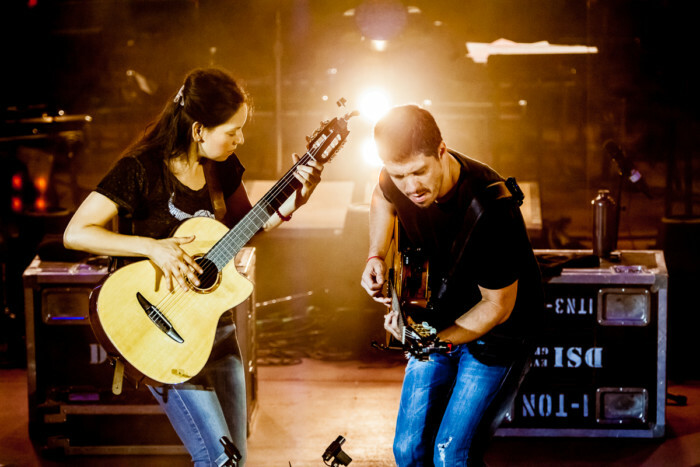 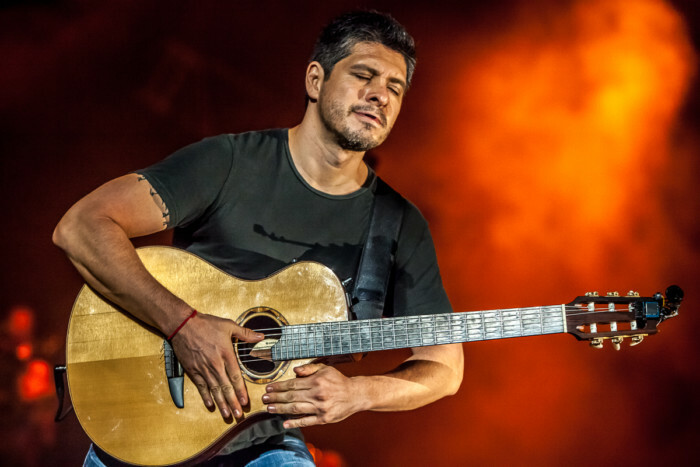 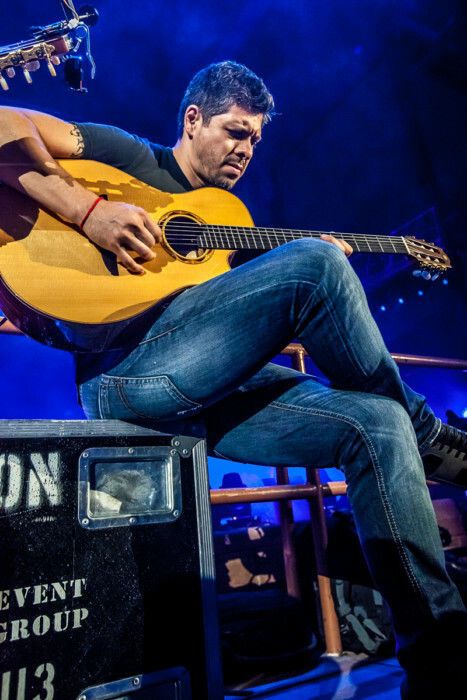 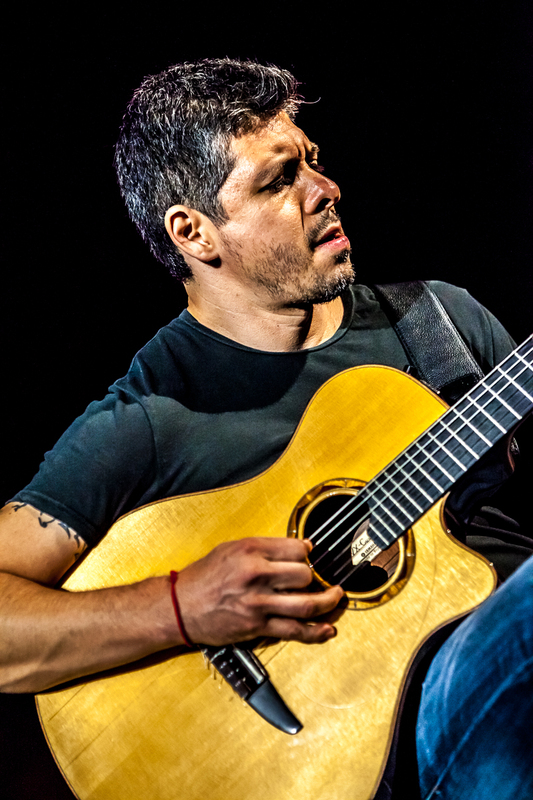 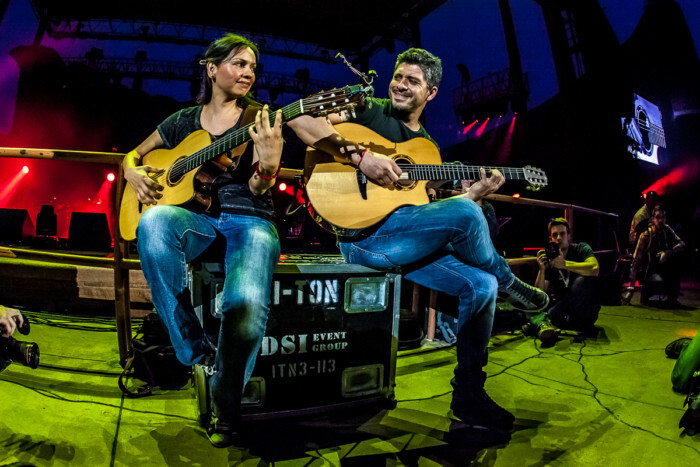 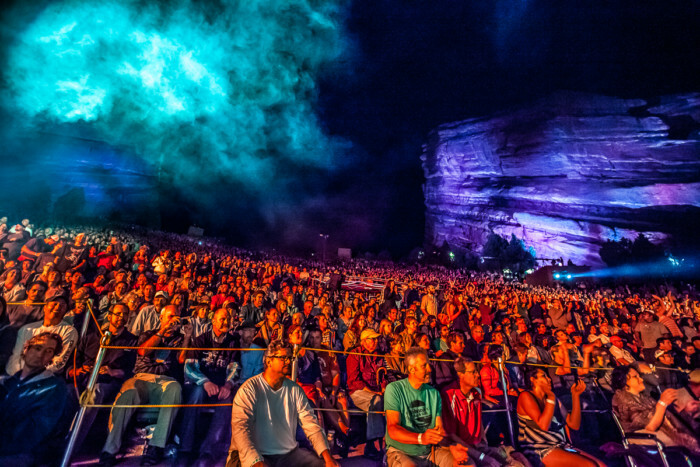 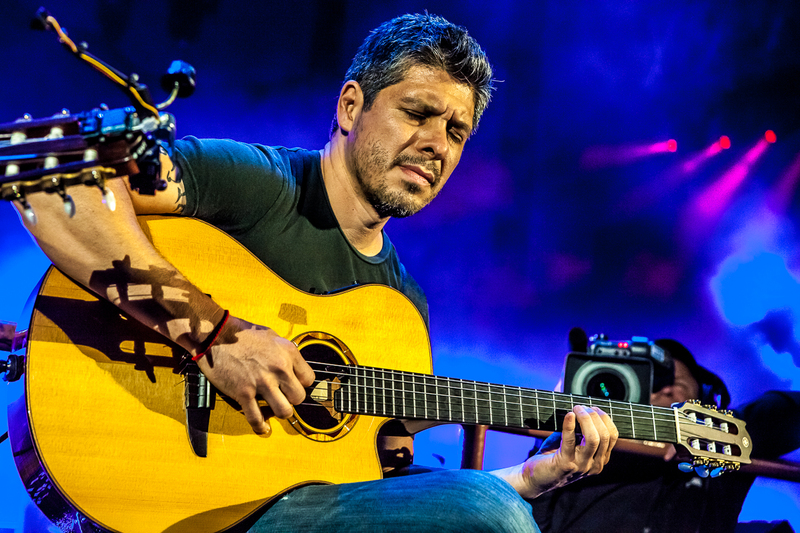 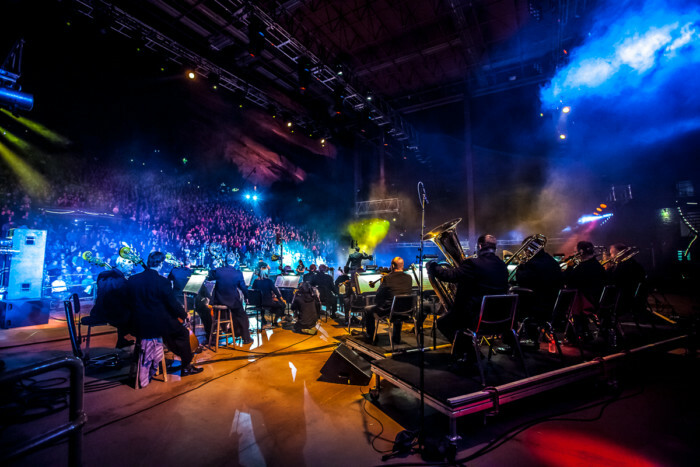 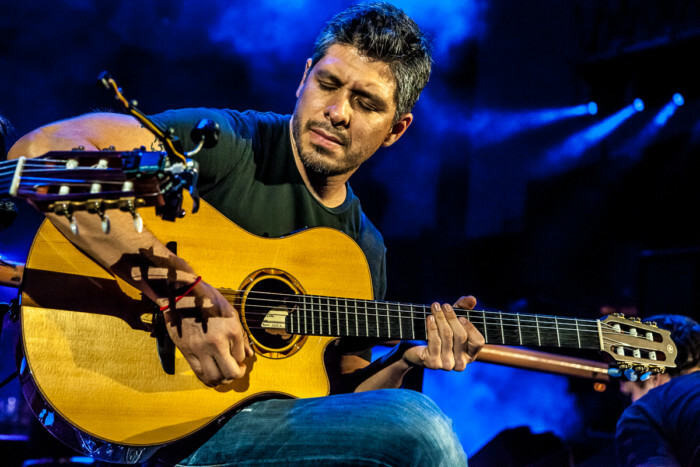 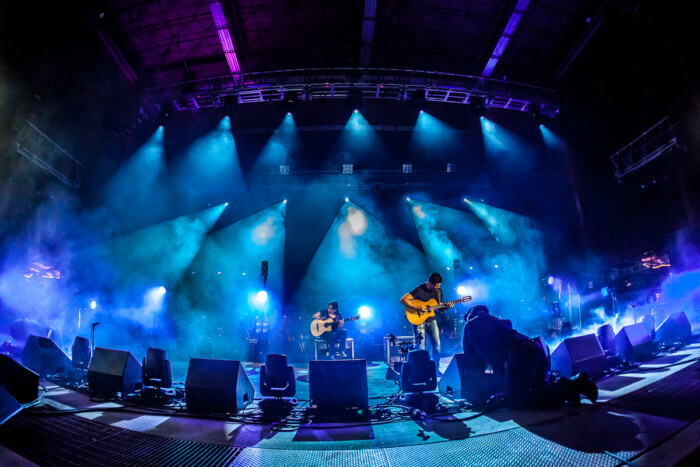 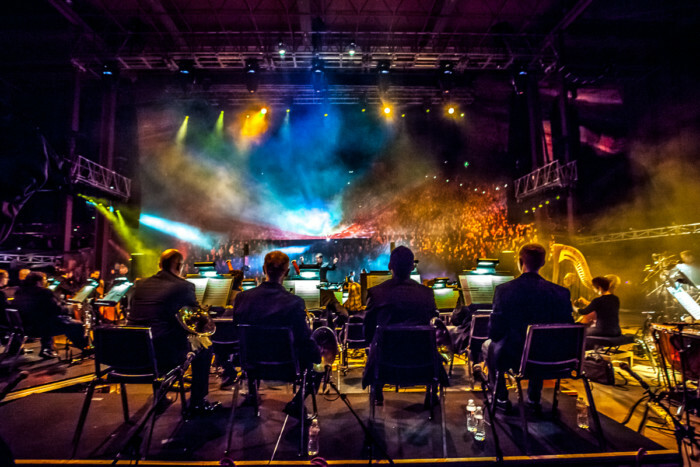 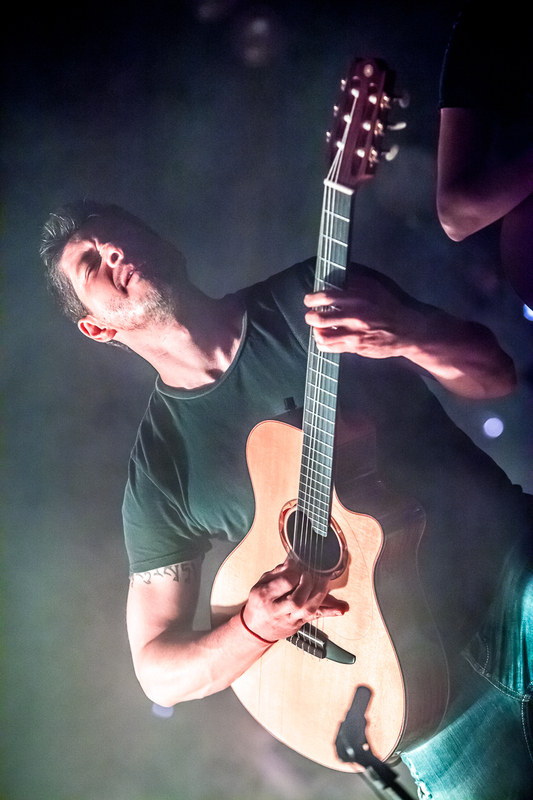 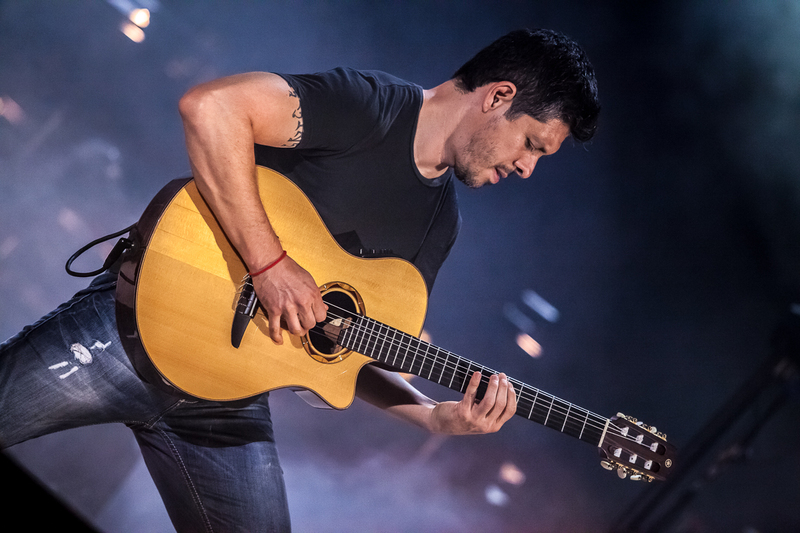 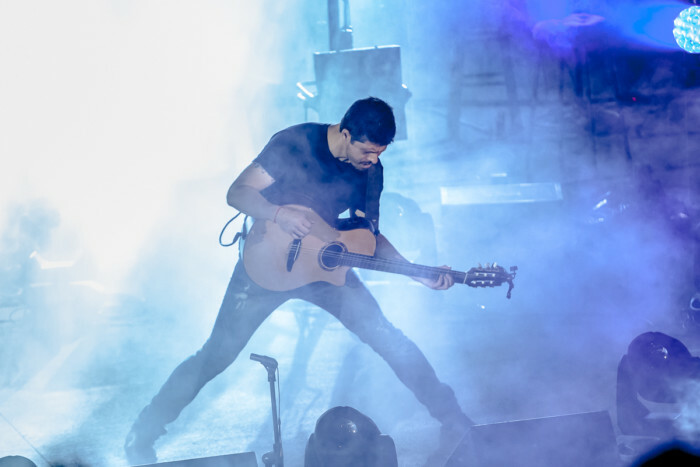 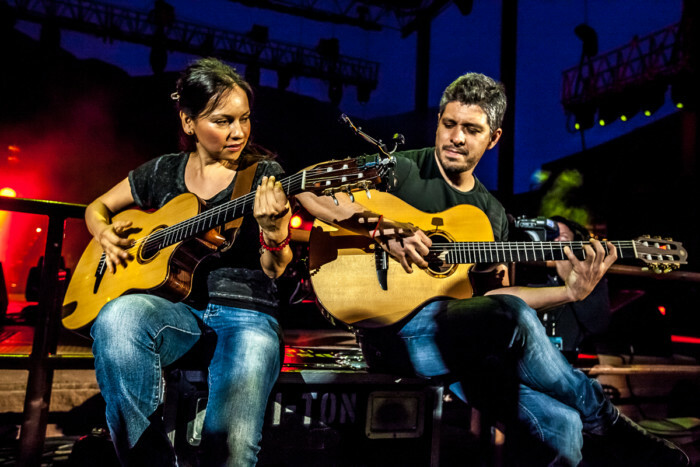 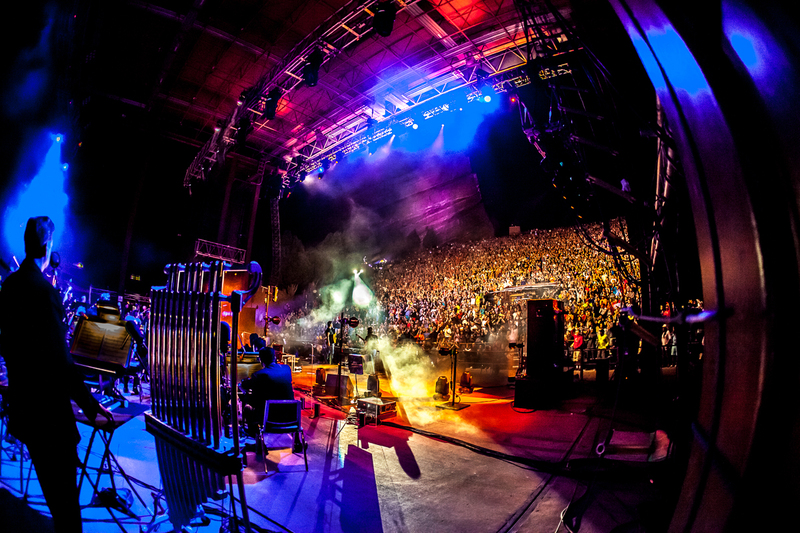 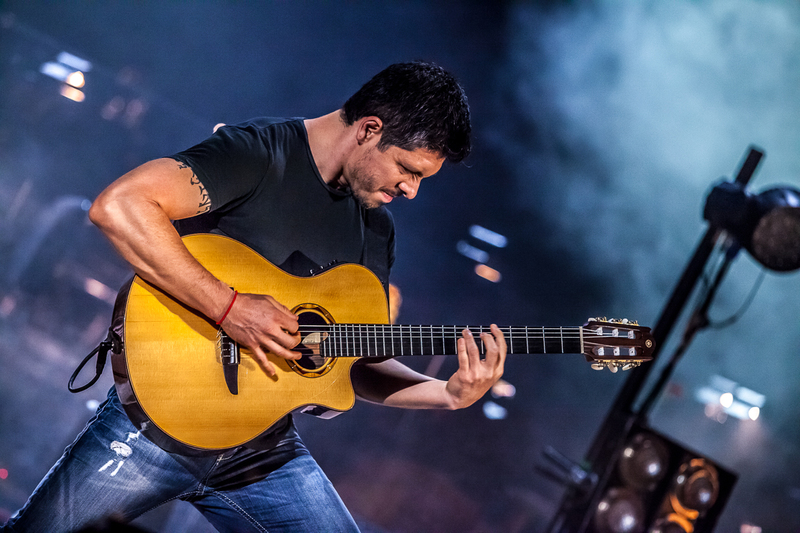 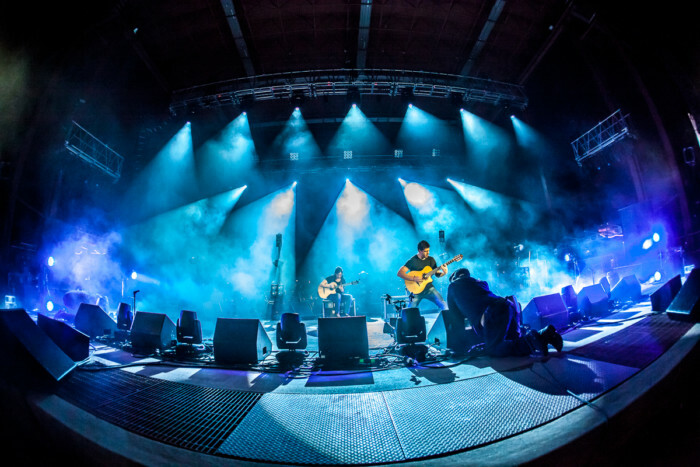 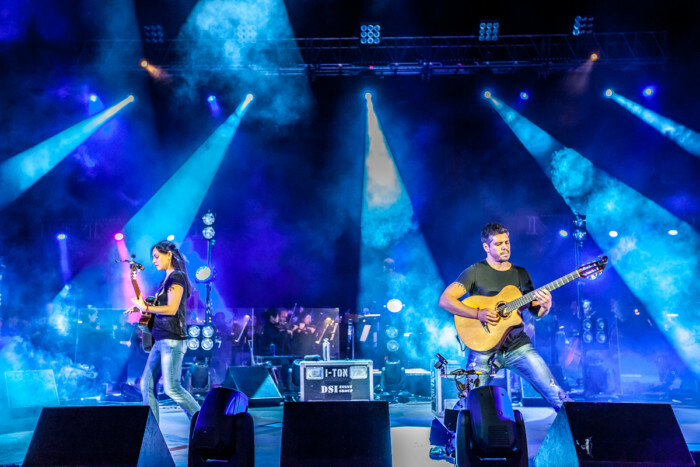 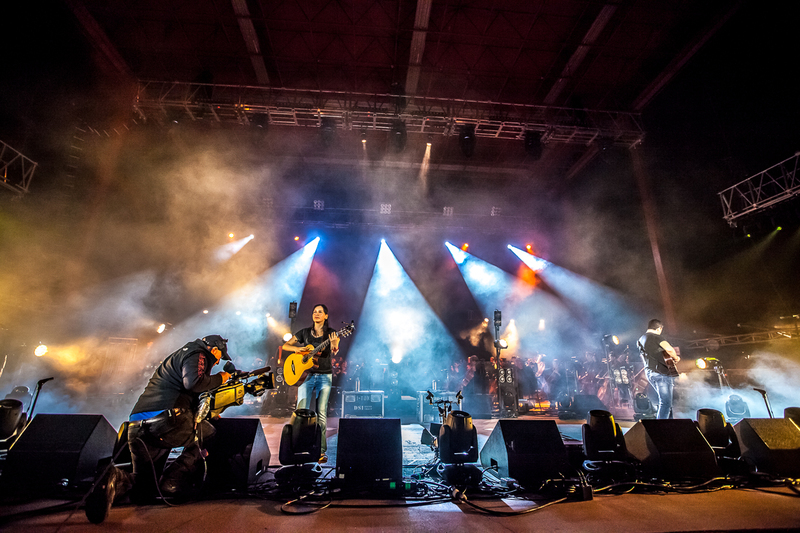 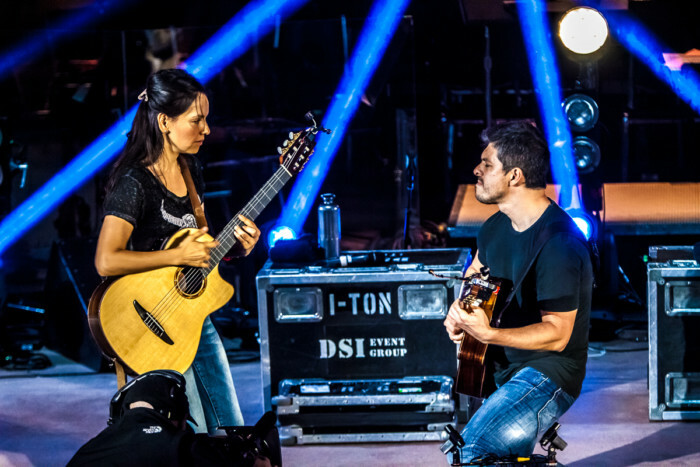 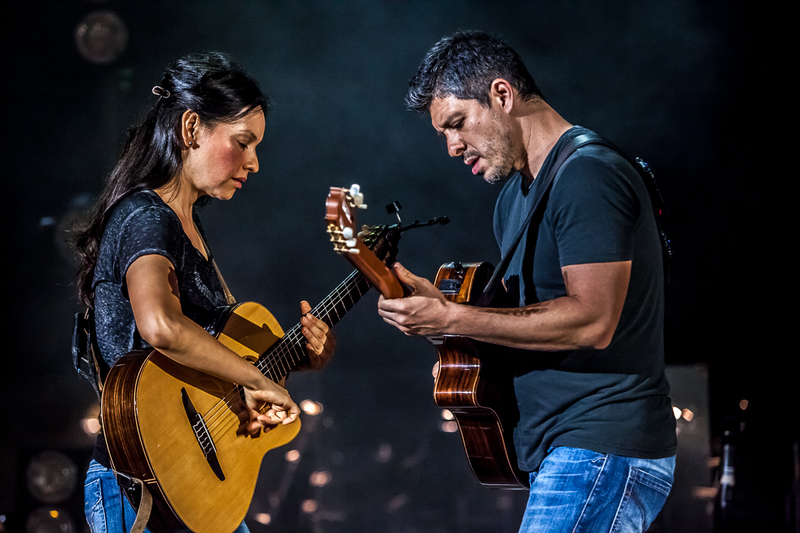 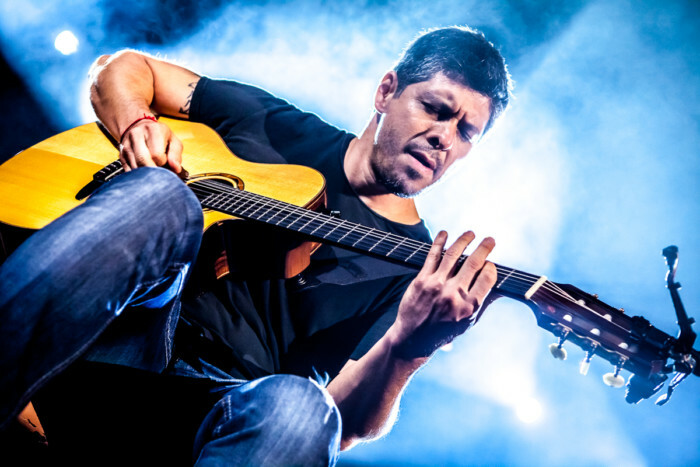 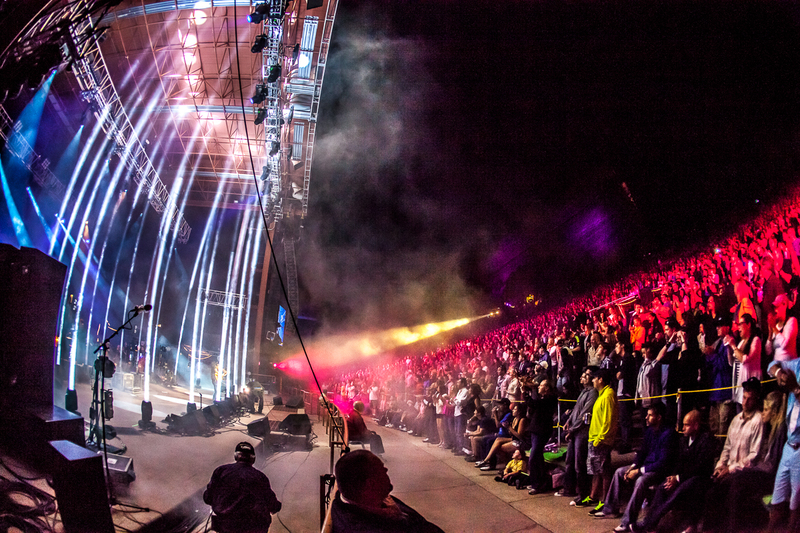 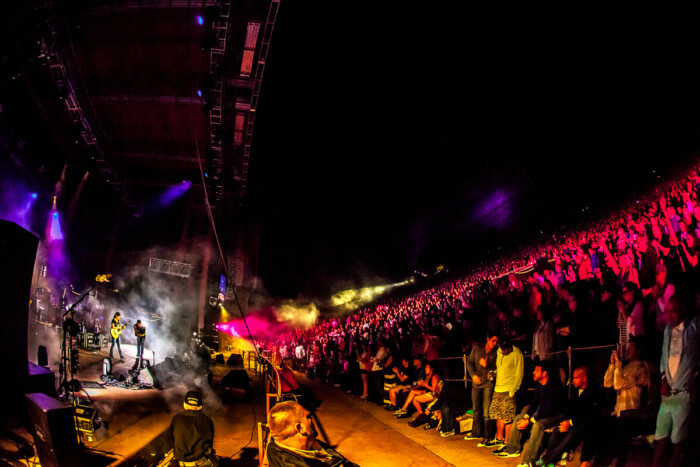 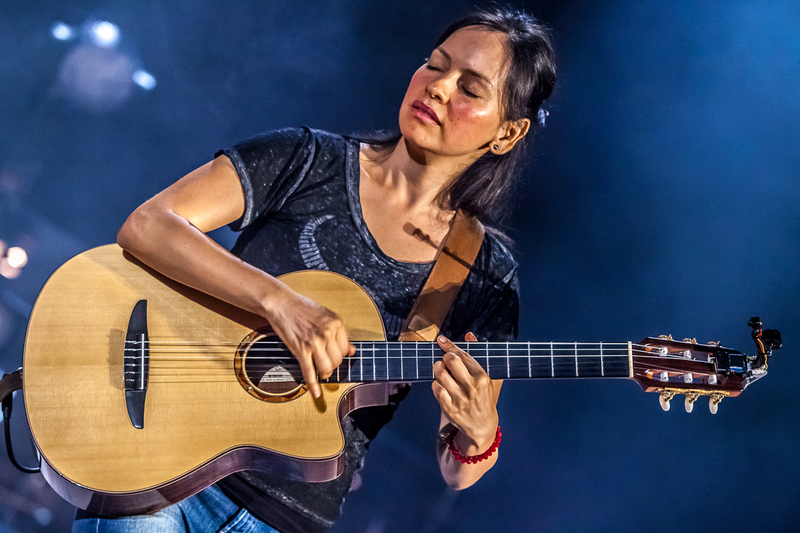 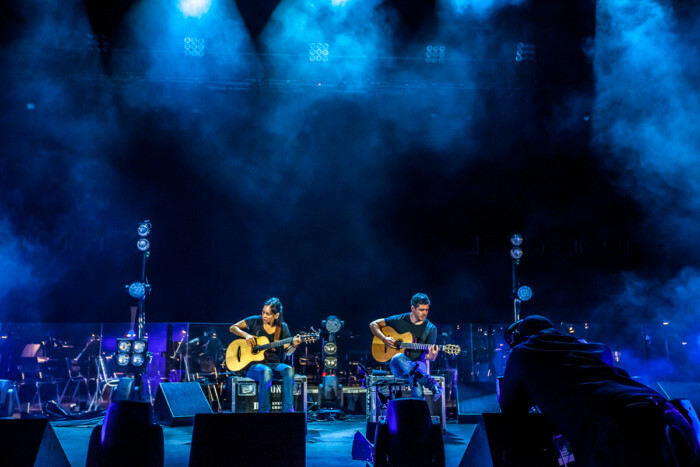 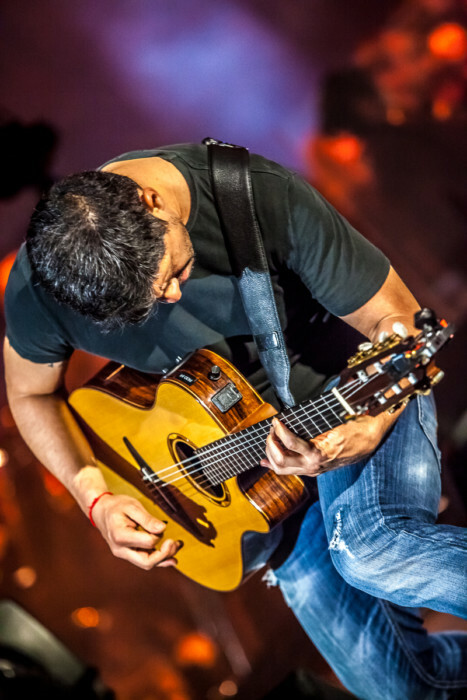 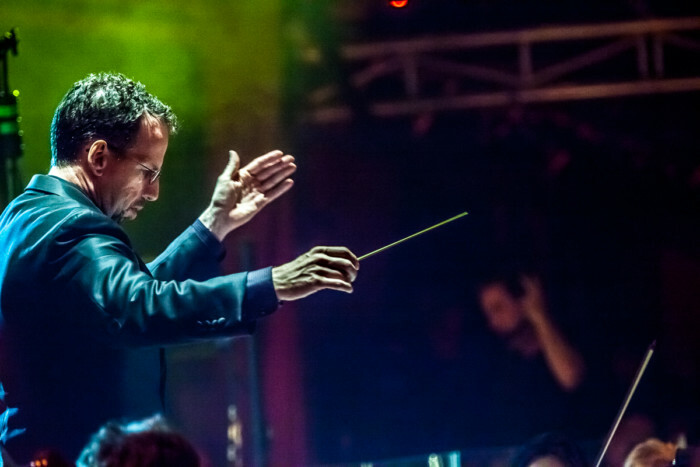 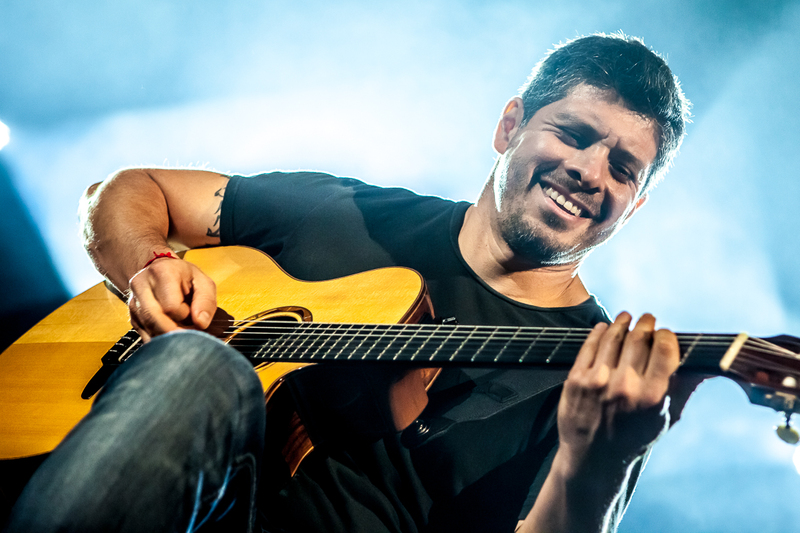 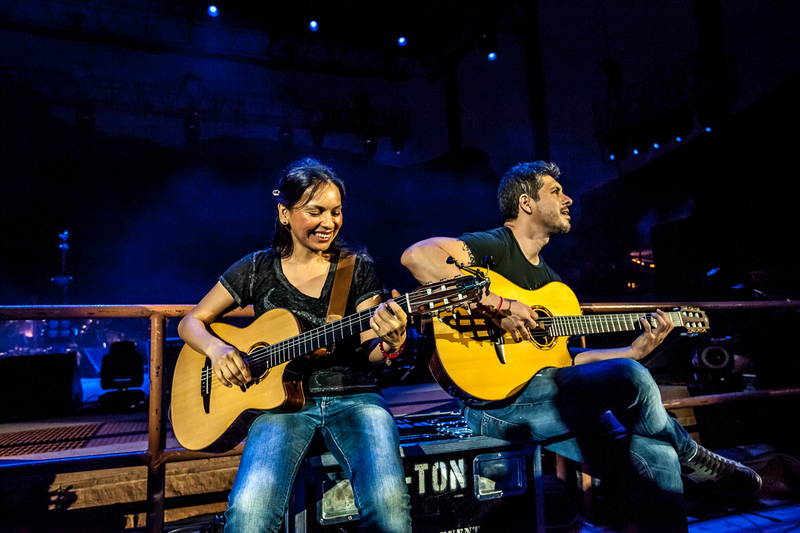 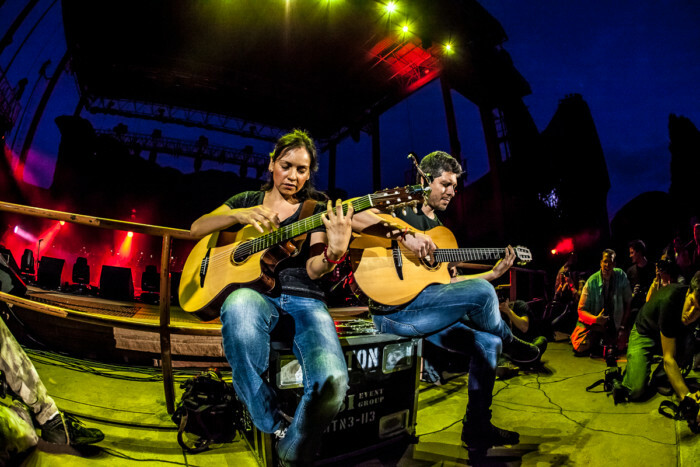 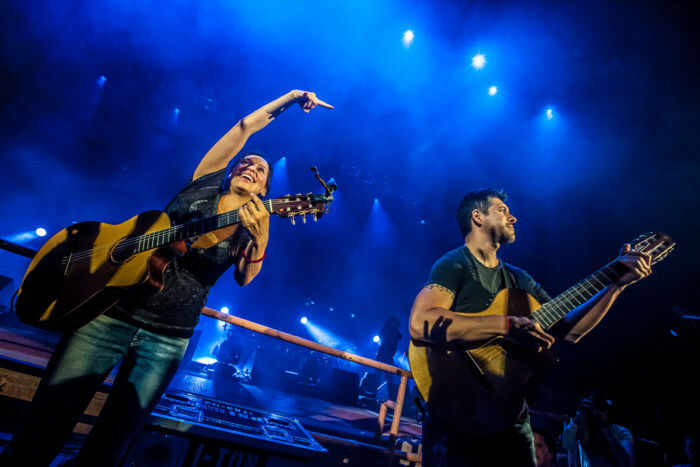 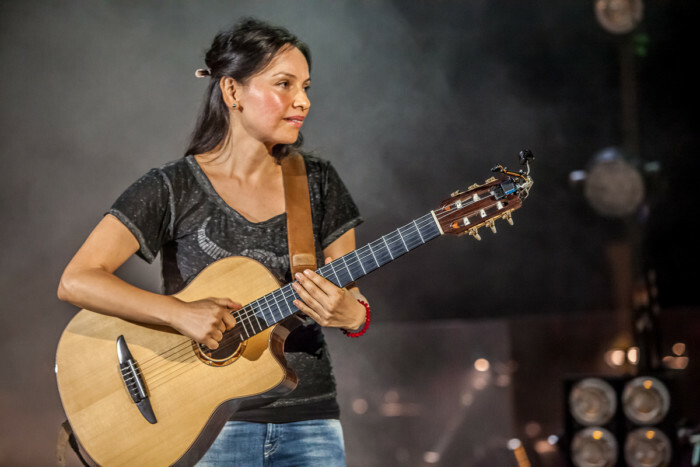 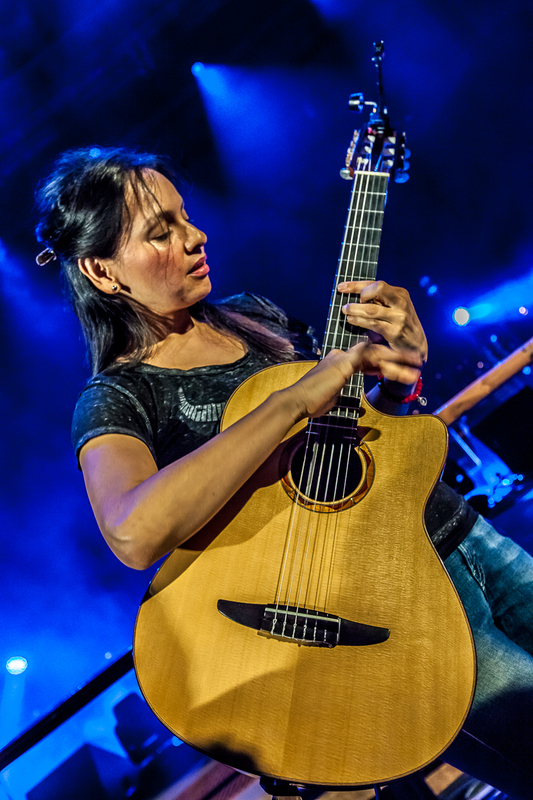 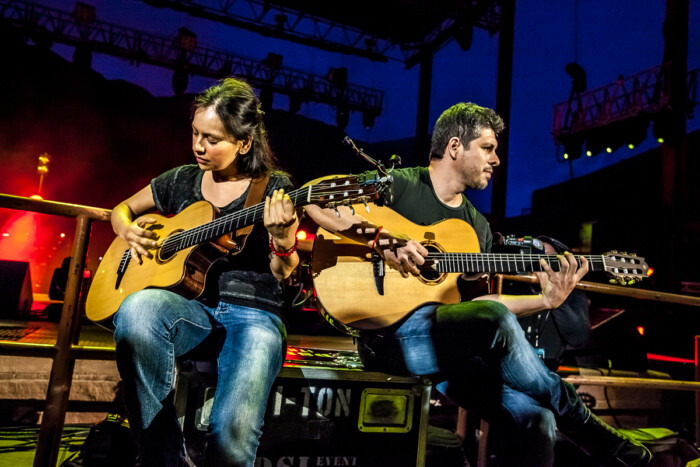 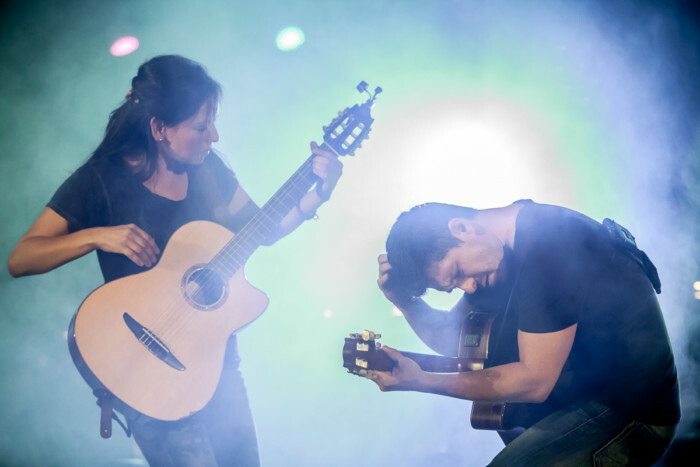 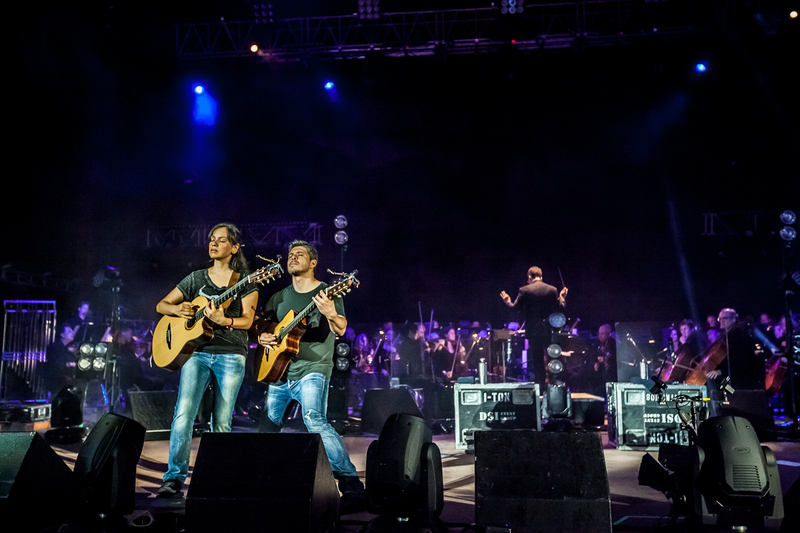 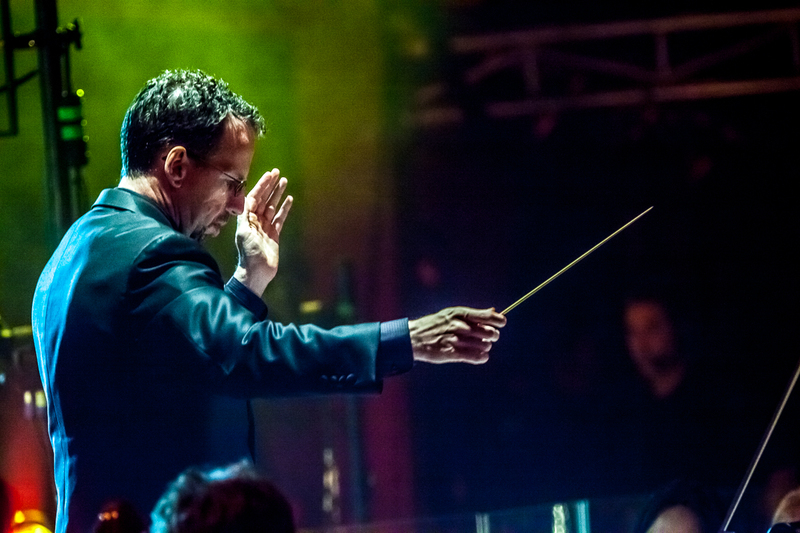 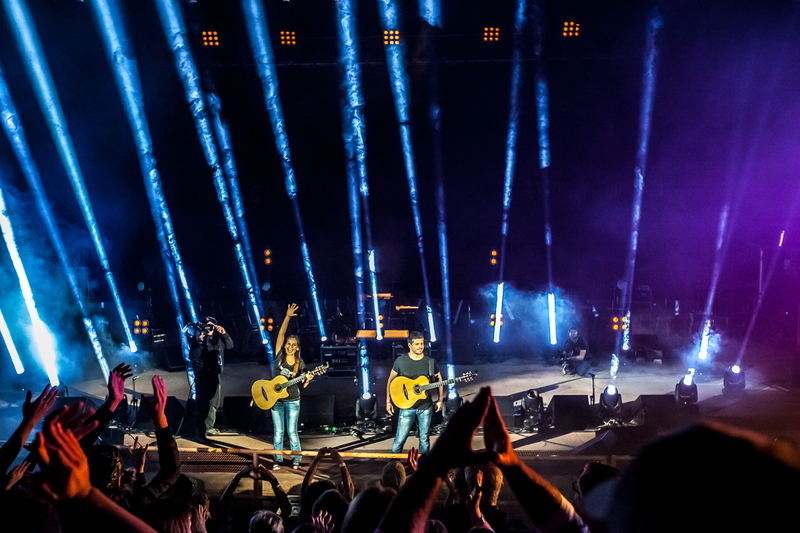 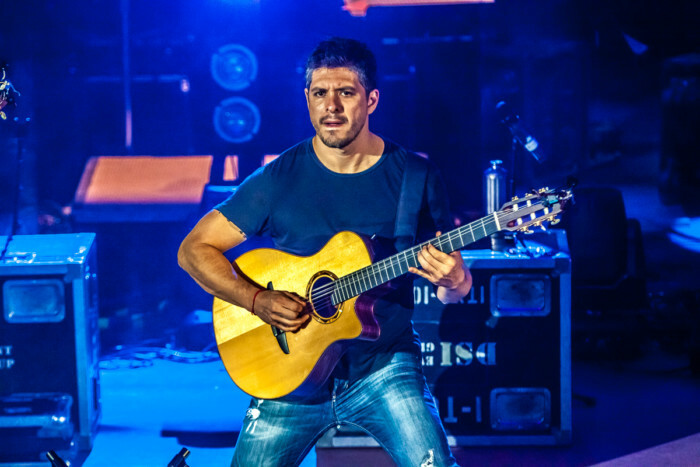 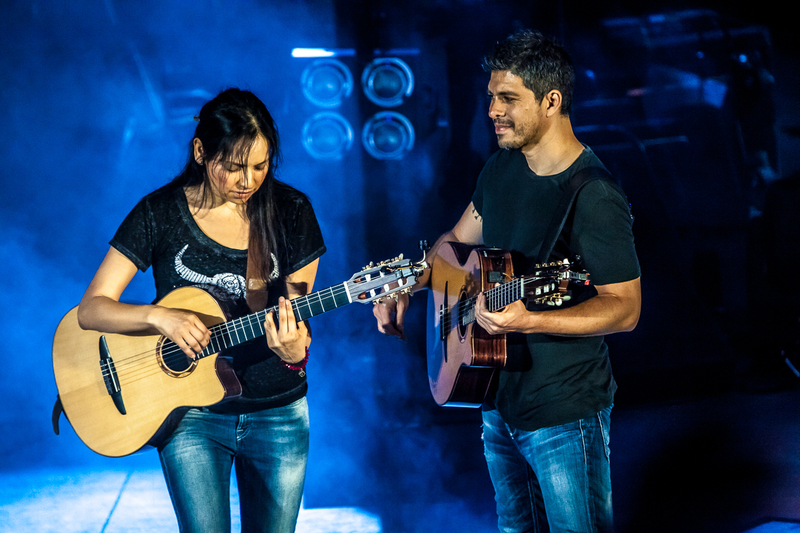 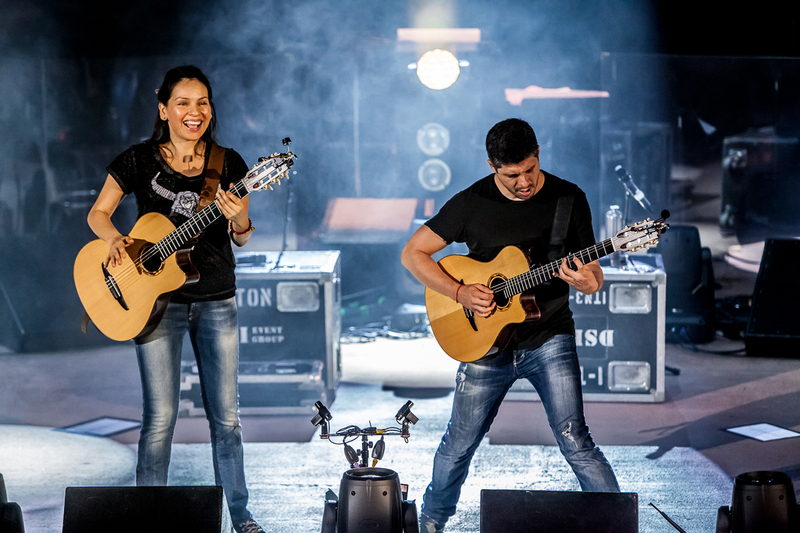 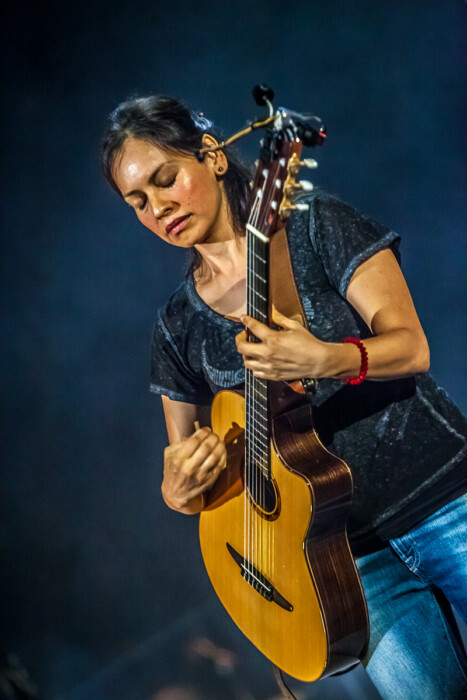 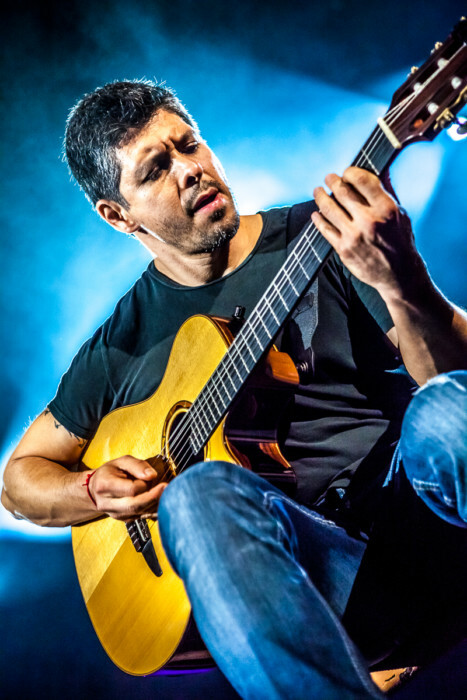 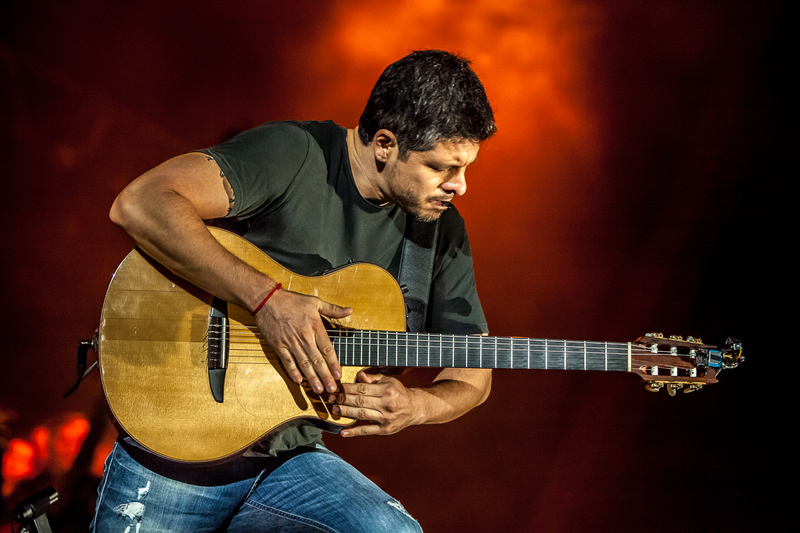 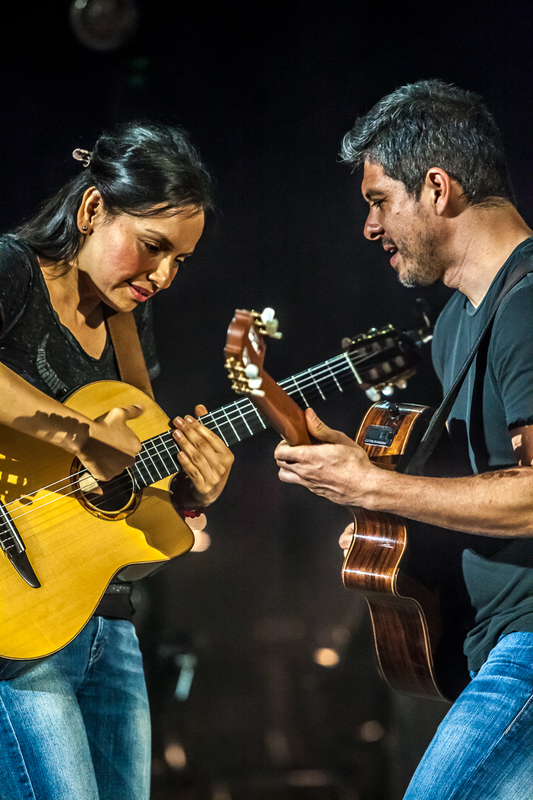 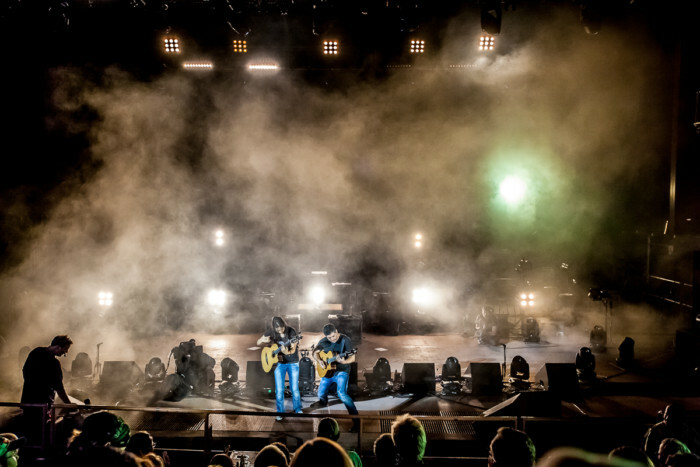 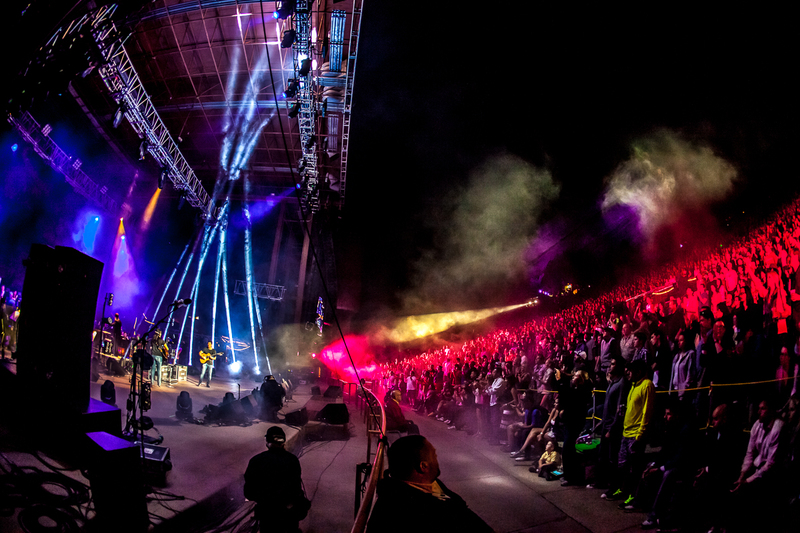 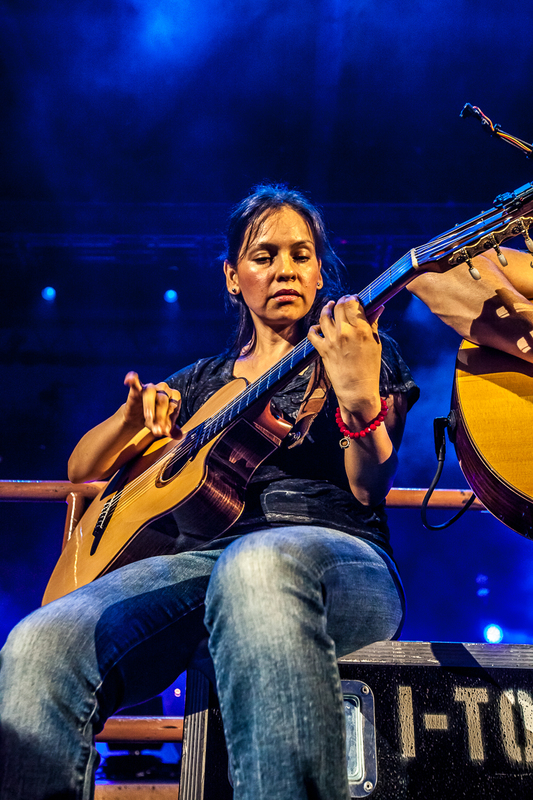 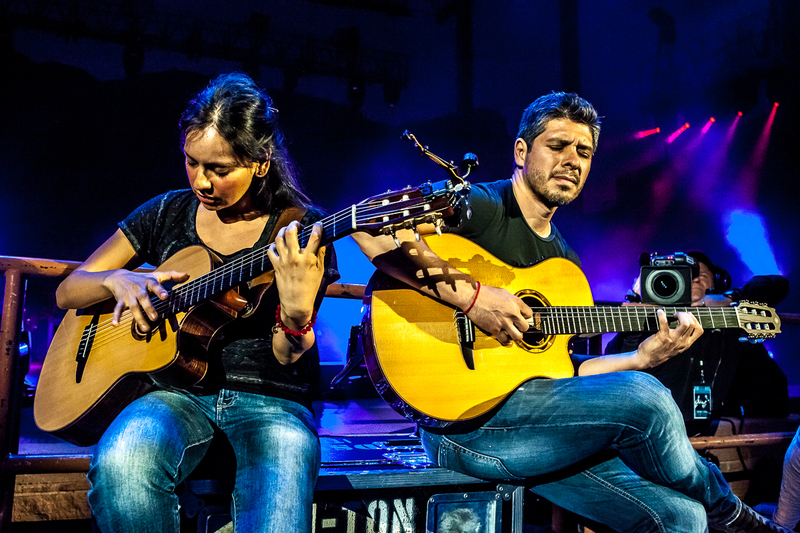 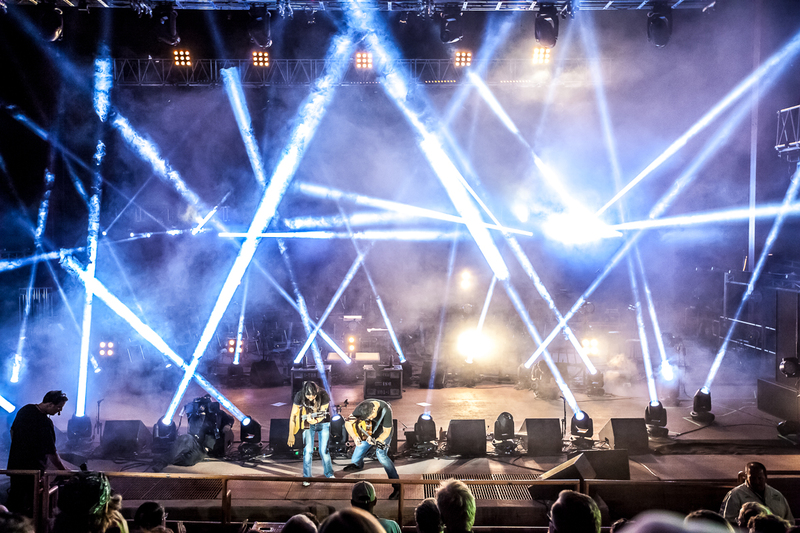 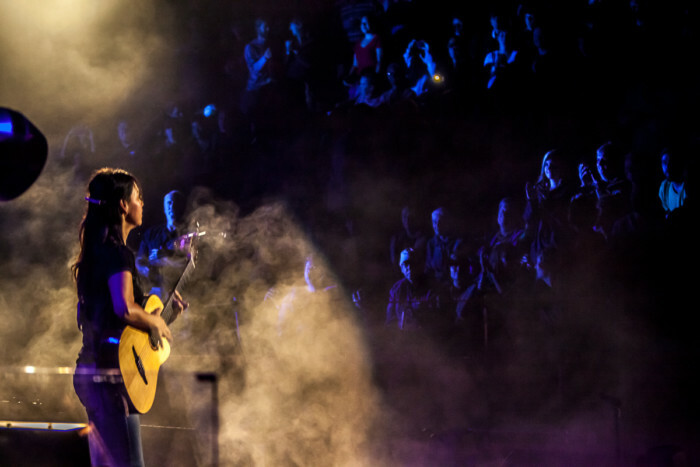 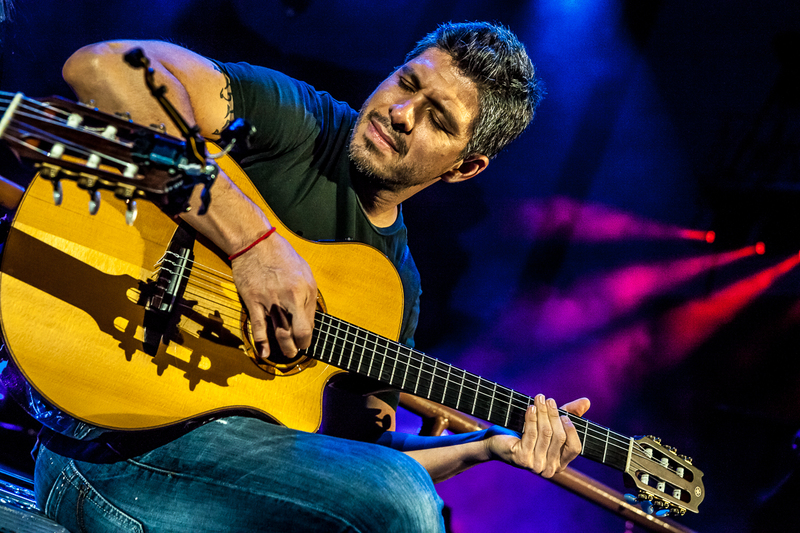 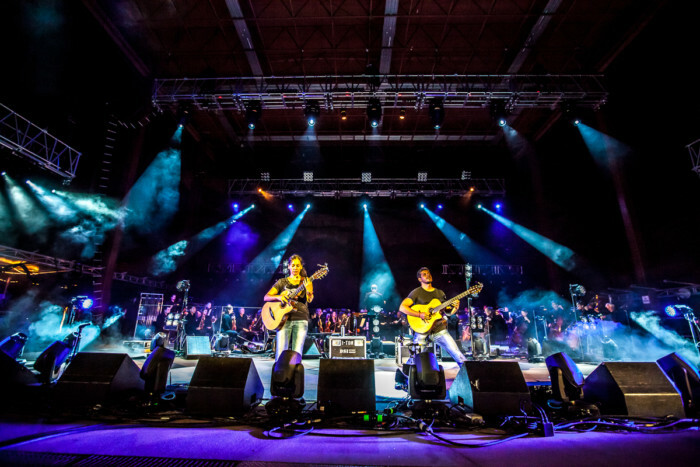 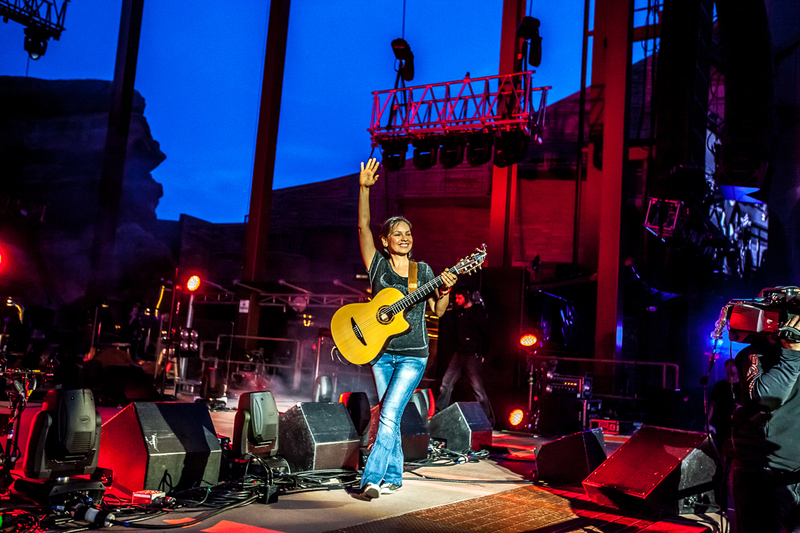 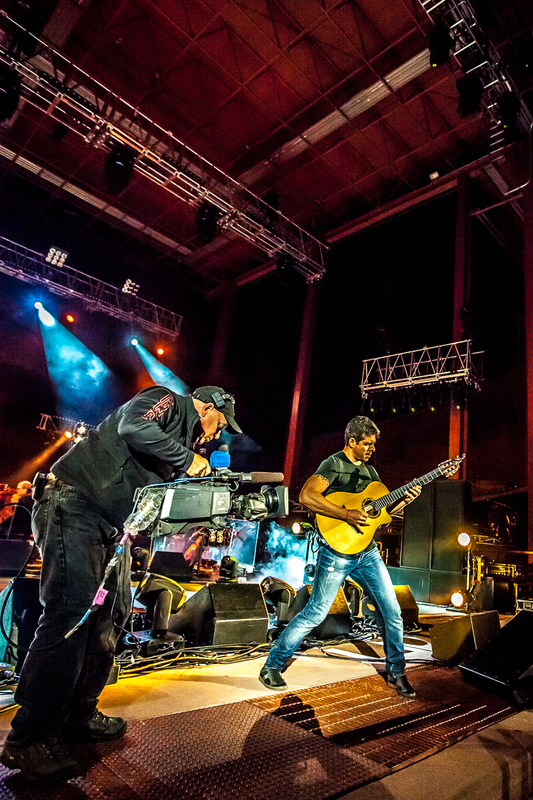 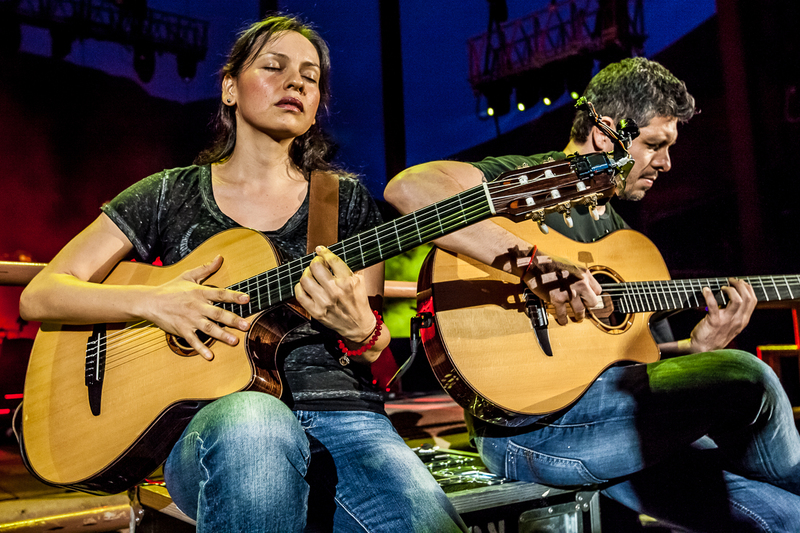 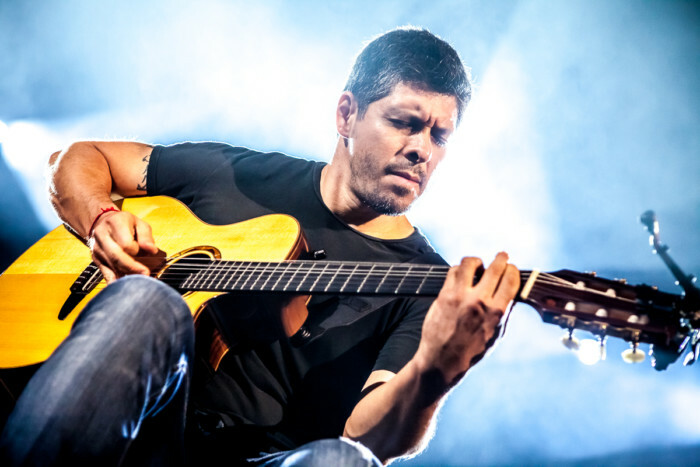 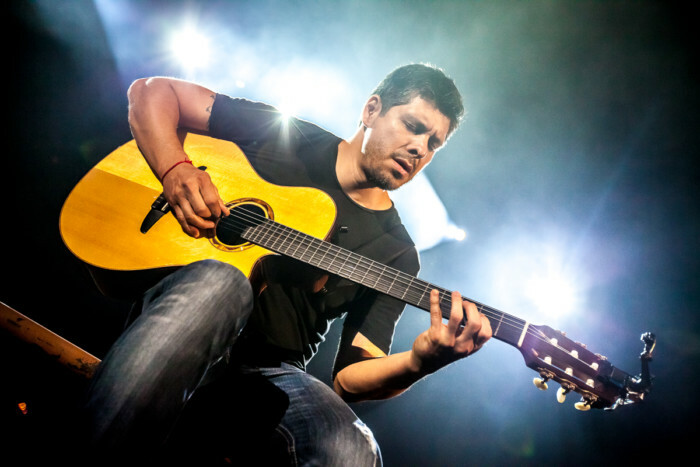 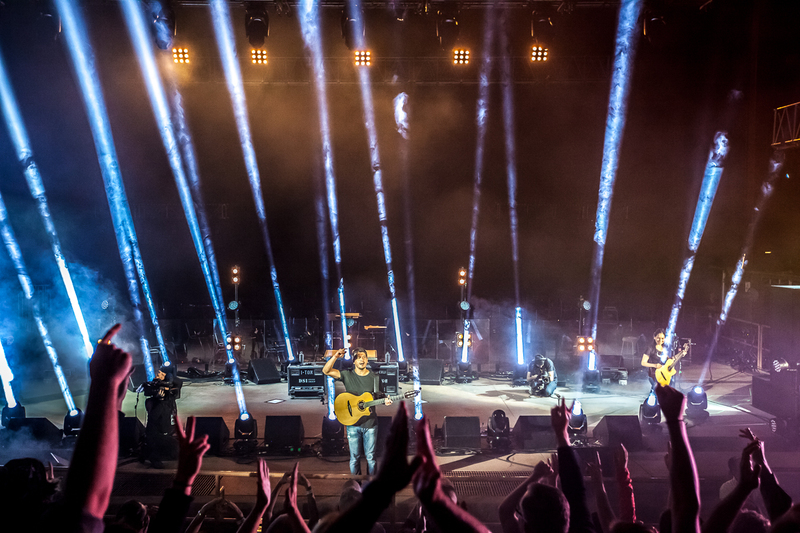 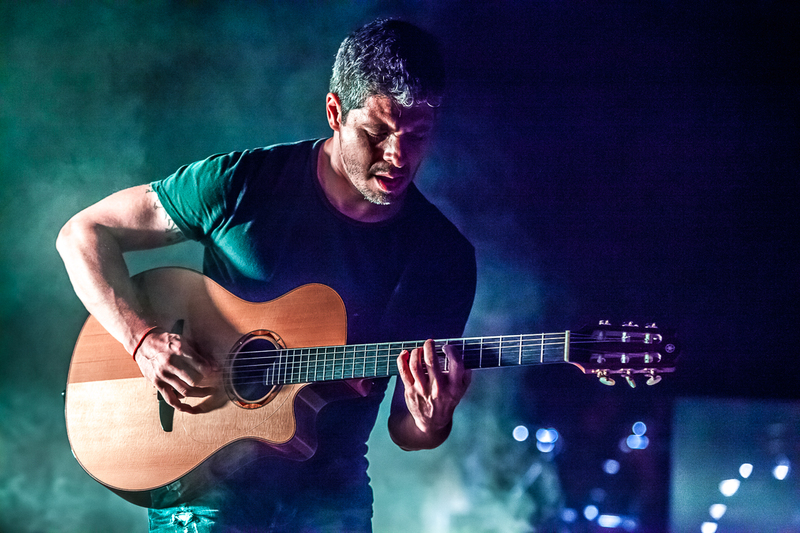 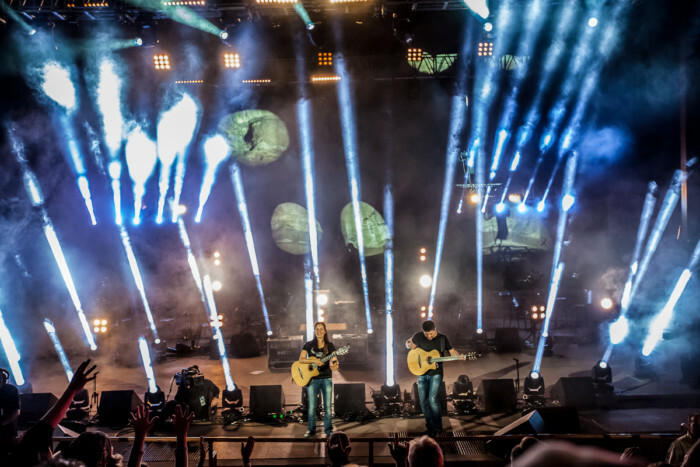 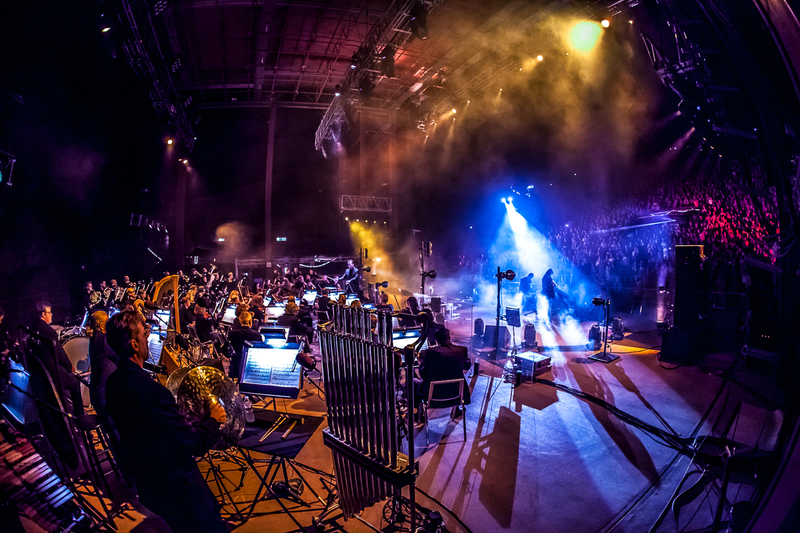 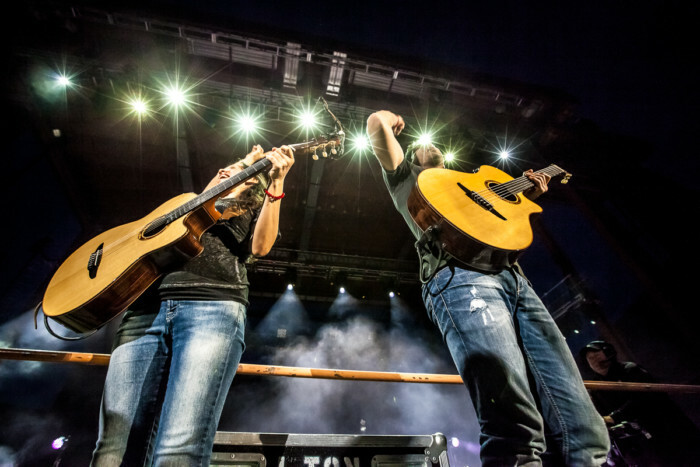 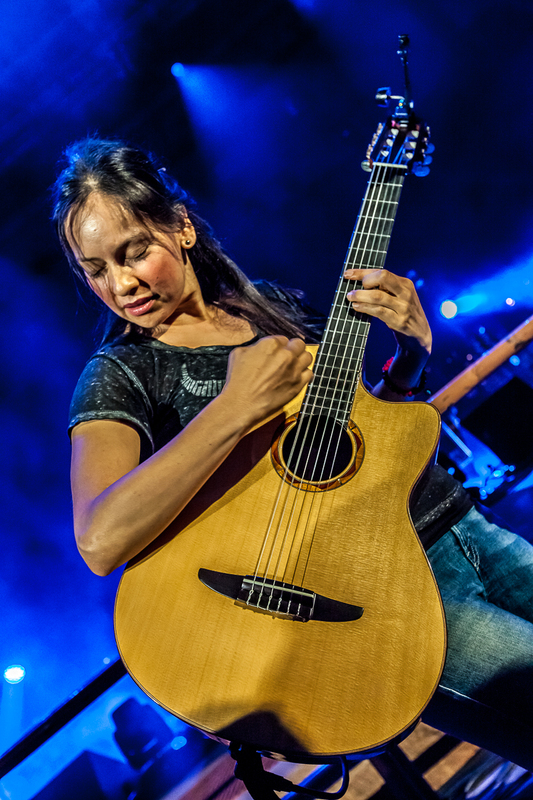 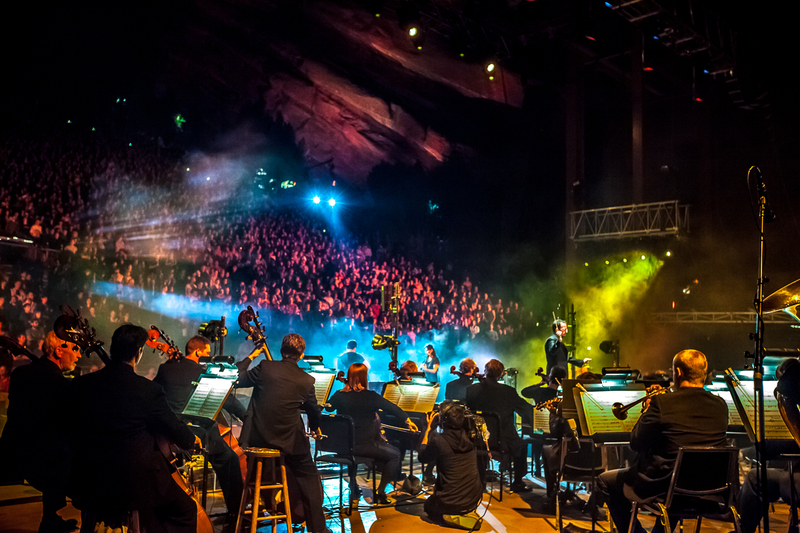 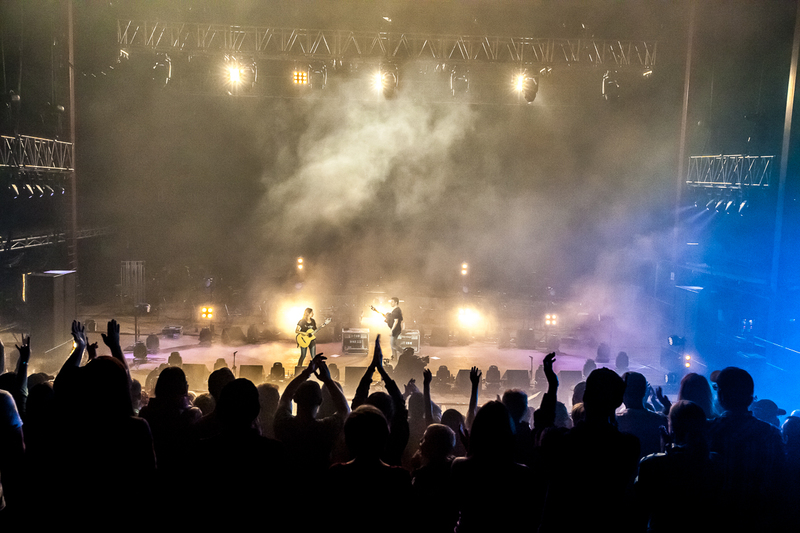 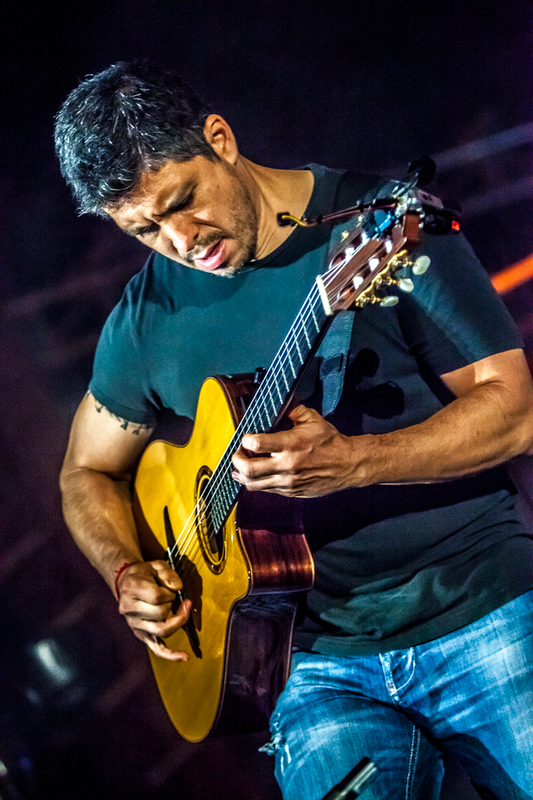 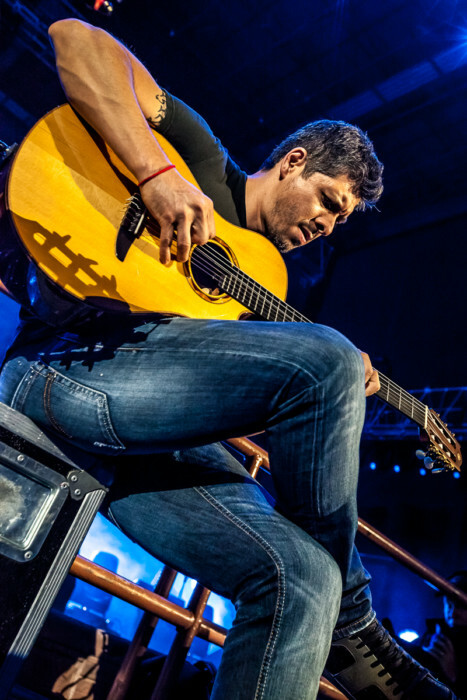 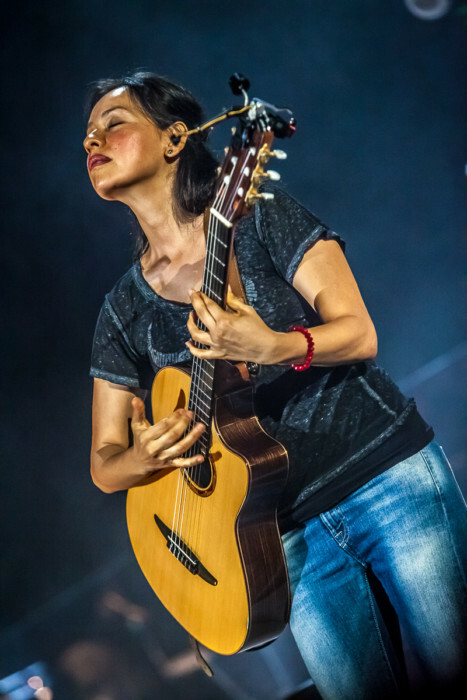 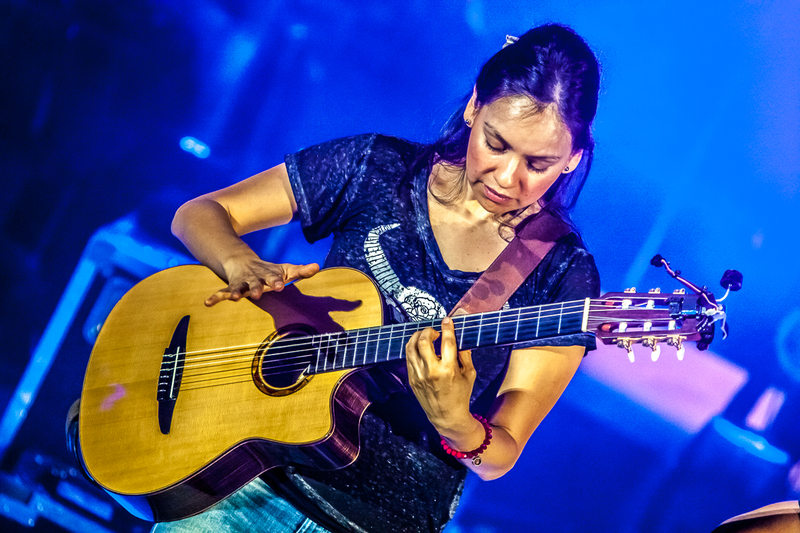 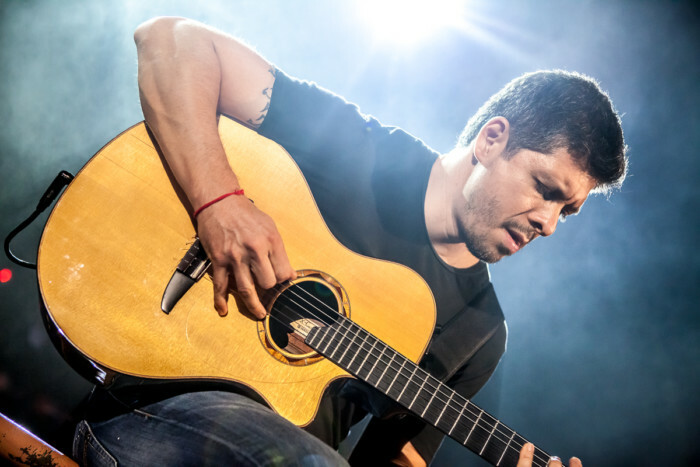 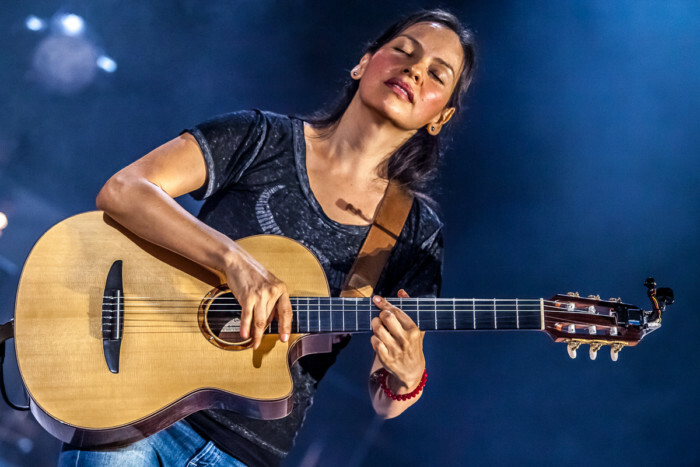 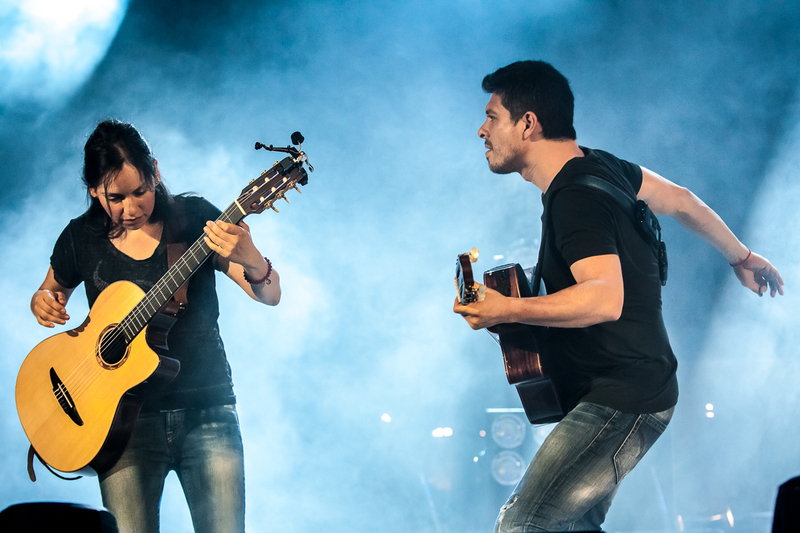 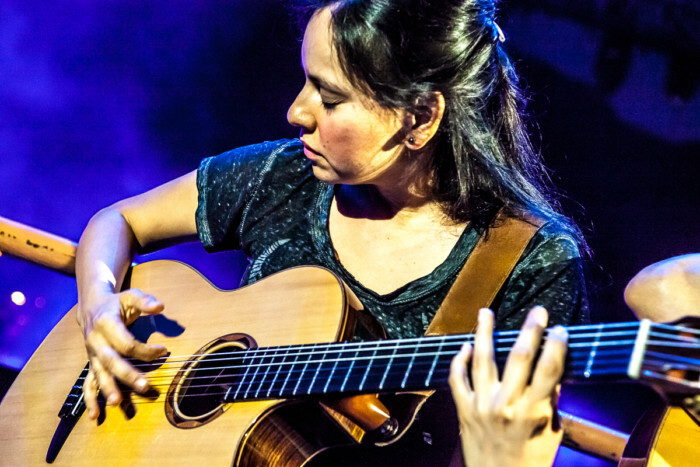 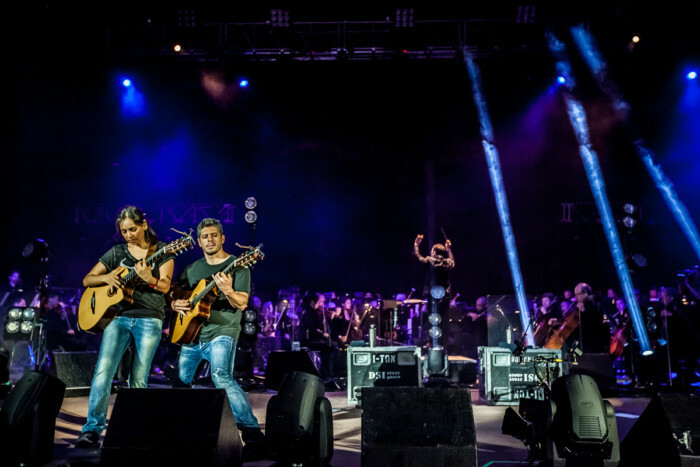 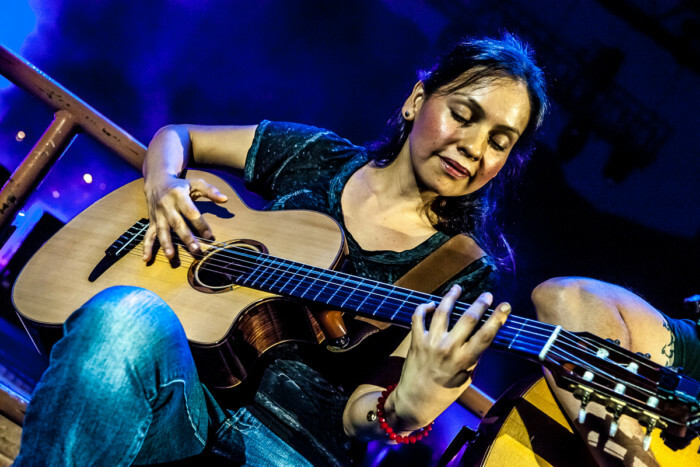 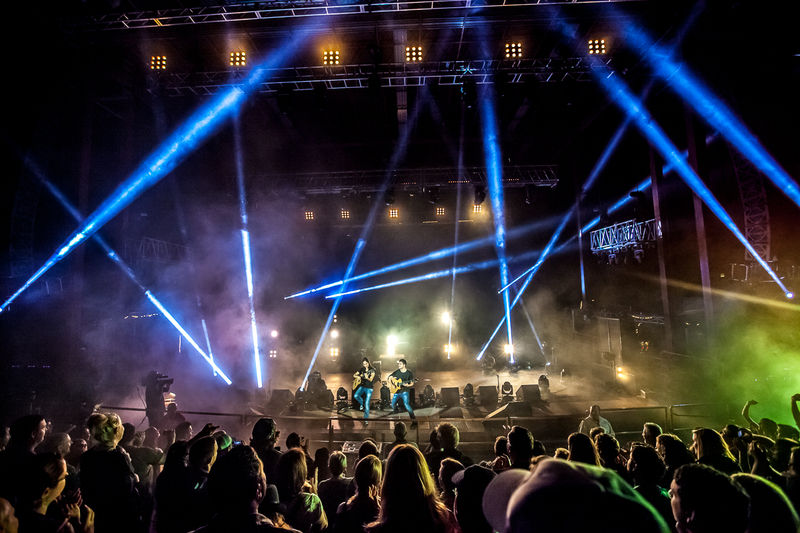 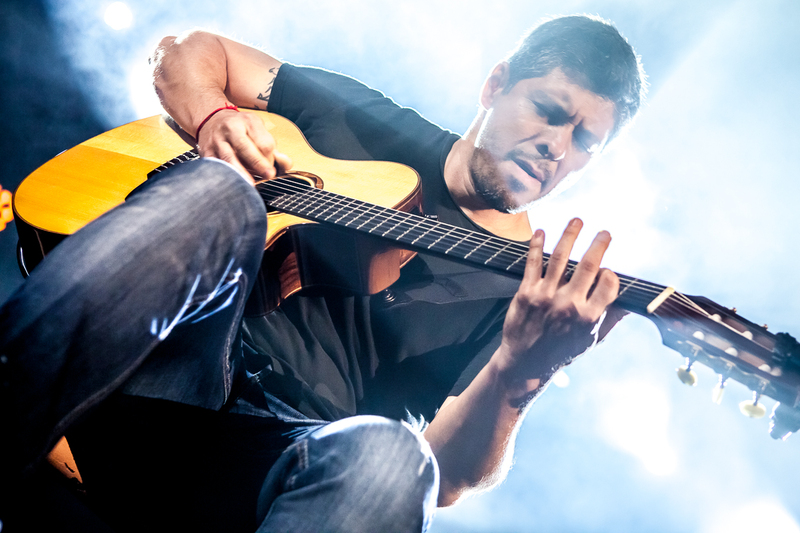 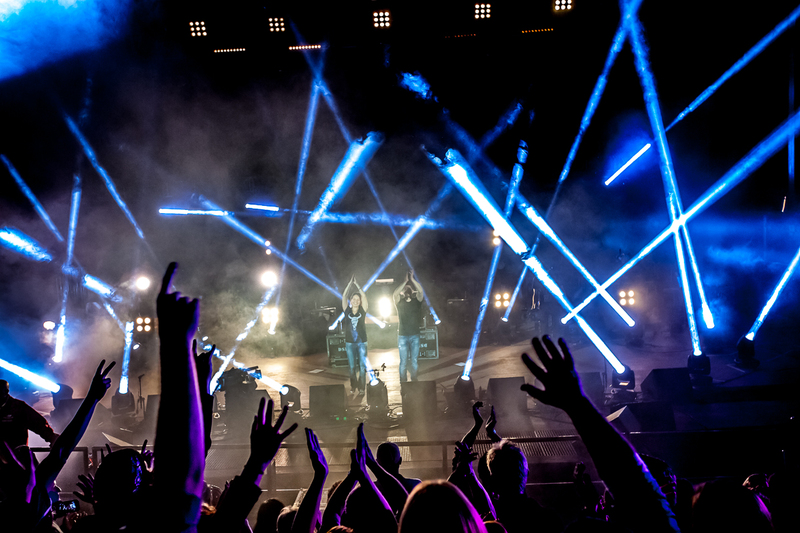 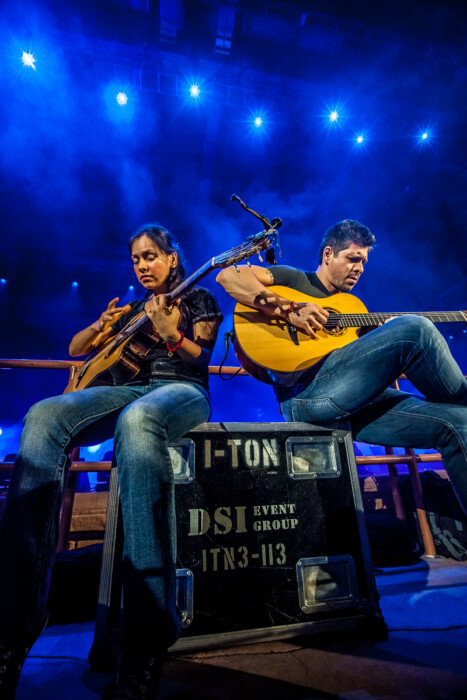 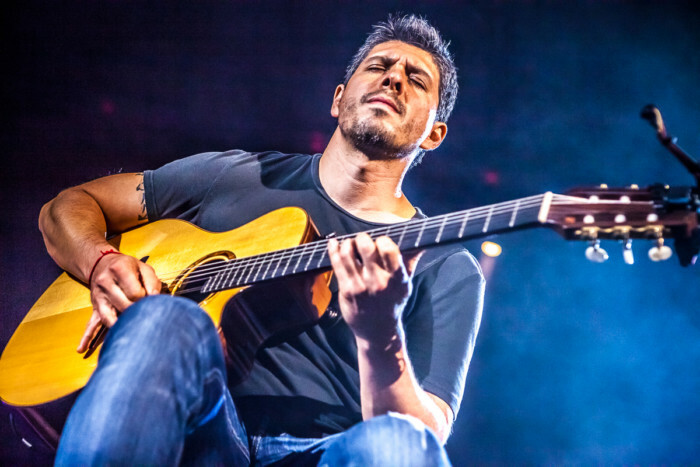 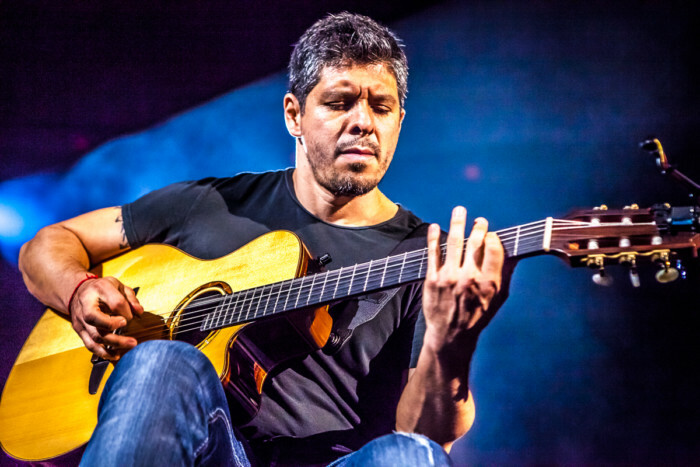 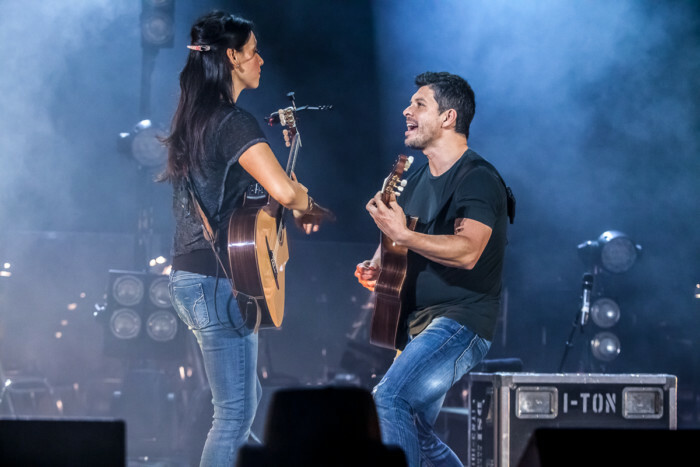 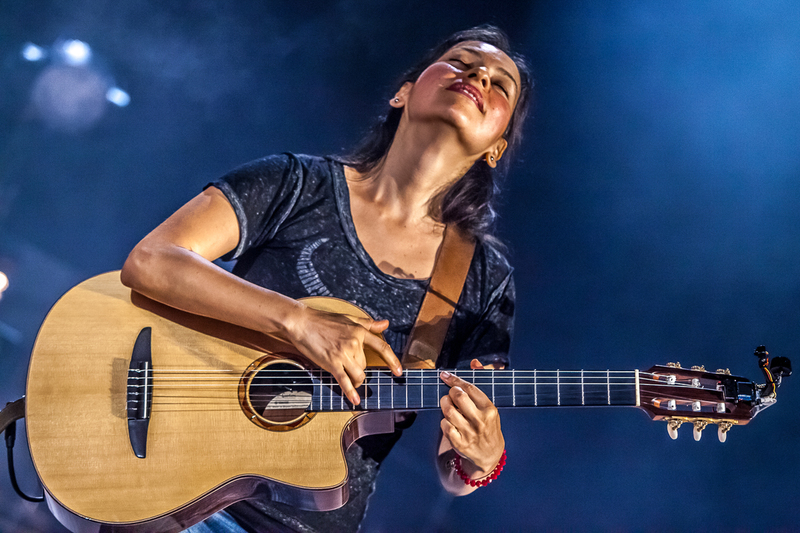 No, it takes the entire Colorado Symphony Orchestra to match Rodrigo y Gabriela’s level of musicianship and gigantic stage presence they generate, add Red Rocks as the hosting venue and you have a recipe for a rare, world class performance. 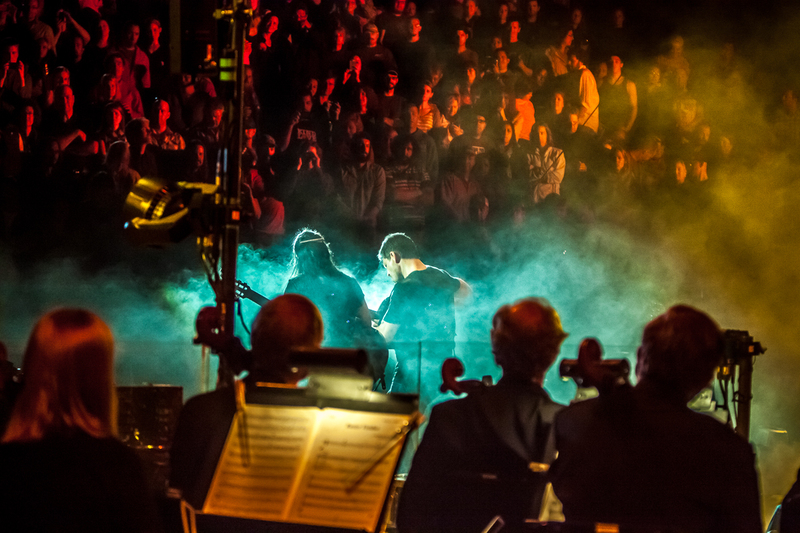 When the band asked me to come down and capture the performance I was excited by the notion of archiving such a special event. The contrast of both artistry and sheer number of artists not only excited me, but inspired me to go big, too. And, go big I did. 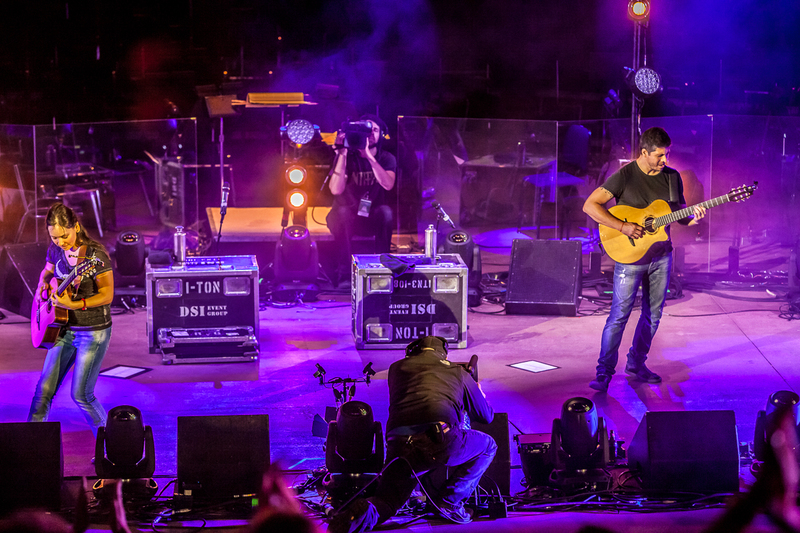 This set is large, but covers the entire night in its completion. 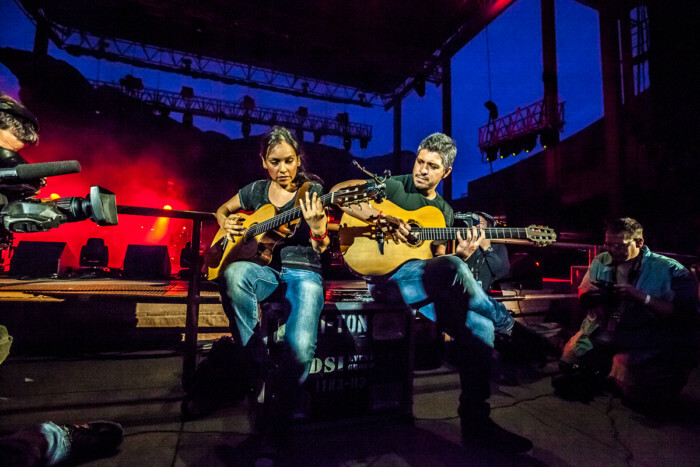 So, grab the ipod or throw your favorite Rodrigo y Gabriela album in the CD player and enjoy the slideshow! 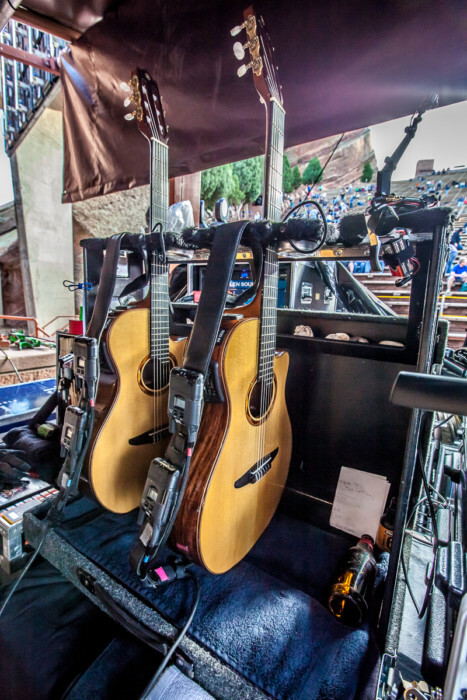 Very Nice Jimmy — I am so happy for you and your family – to be able to persevere and get to such a nice place –both you and Melissa with your dream job(s) – and the splendid family shots you share !